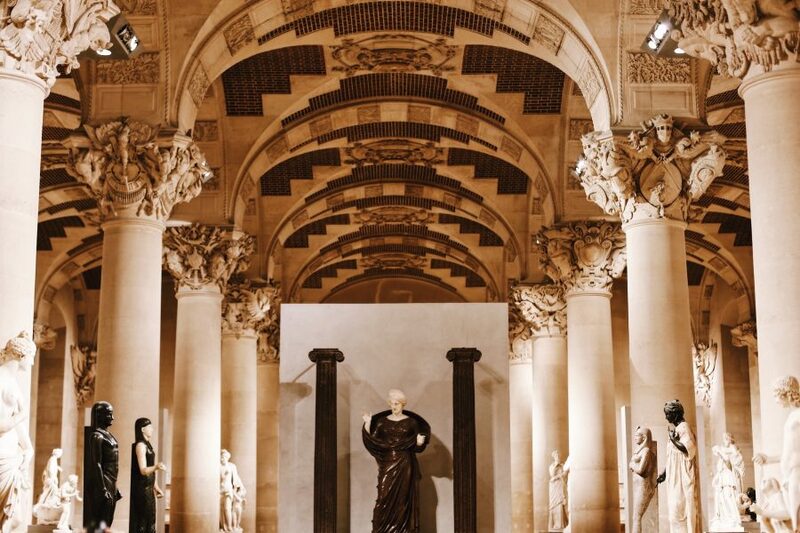 This exclusive private guided museum tour allows you to experience Paris’s two major museums all in a half day. And they said it couldn’t be done! 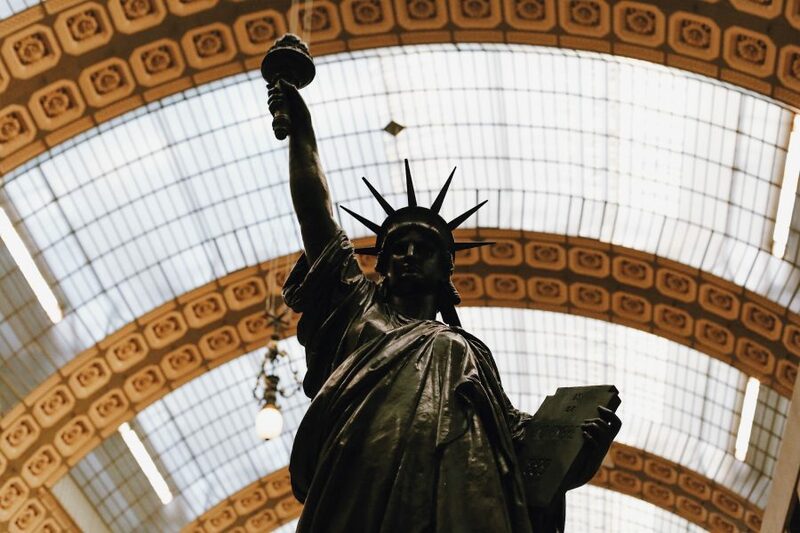 Join our guides and skip the line to spend 5 to 5.5 hours immersed in the treasures of these two iconic museums with one of our energetic and enthusiastic guides. 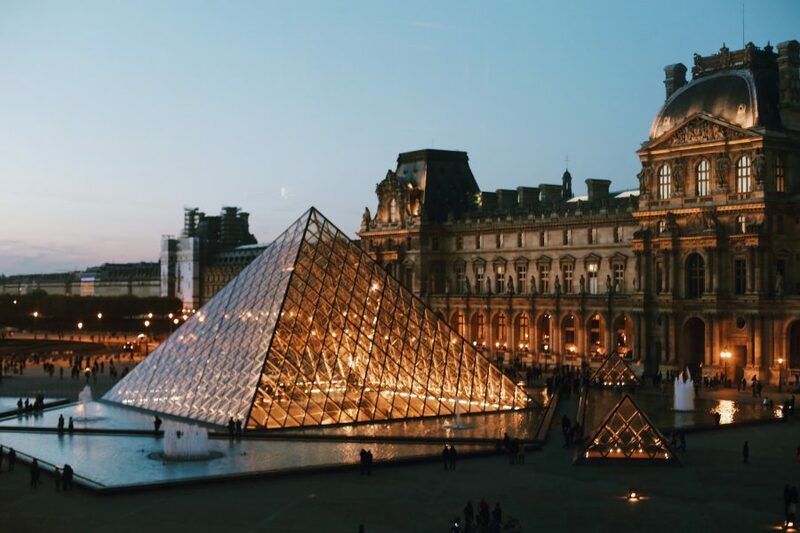 Start at the world’s most famous and most visited museum, the Louvre, with works from the Ancient Greeks to the 19th century masters like Delacroix. 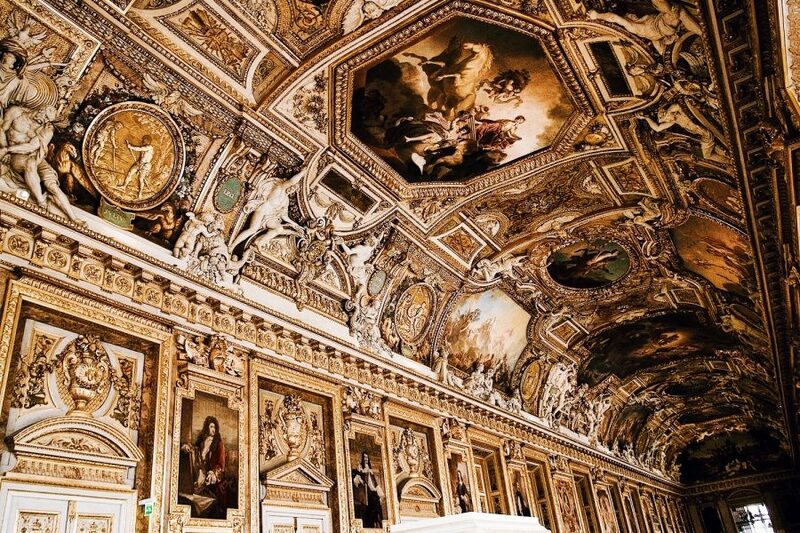 Discuss Michelangelo’s “Slaves” while strolling through this former royal palace. 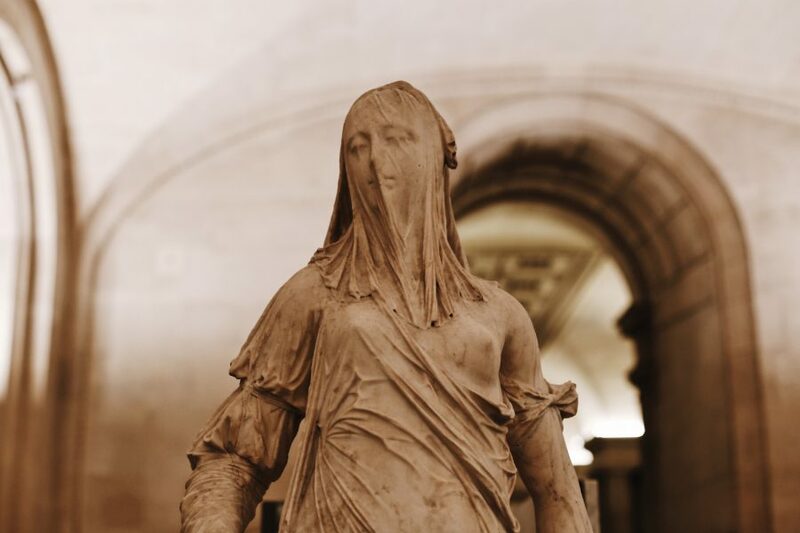 We’ll answer popular questions like why Mona Lisa is smiling and why the Venus de Milo has no arms before moving across the river towards the Musée d’Orsay. 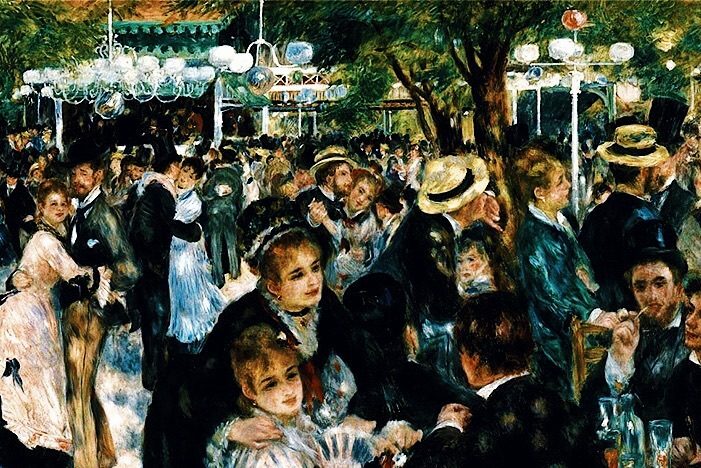 After a break for lunch, we’ll delve into Impressionist work like Monet ‘s waterlilies and Renoir’s “Dance at Le Moulin de la Galette” while discussing Van Gogh’s famous “Bedroom in Arles” and other masterpieces. 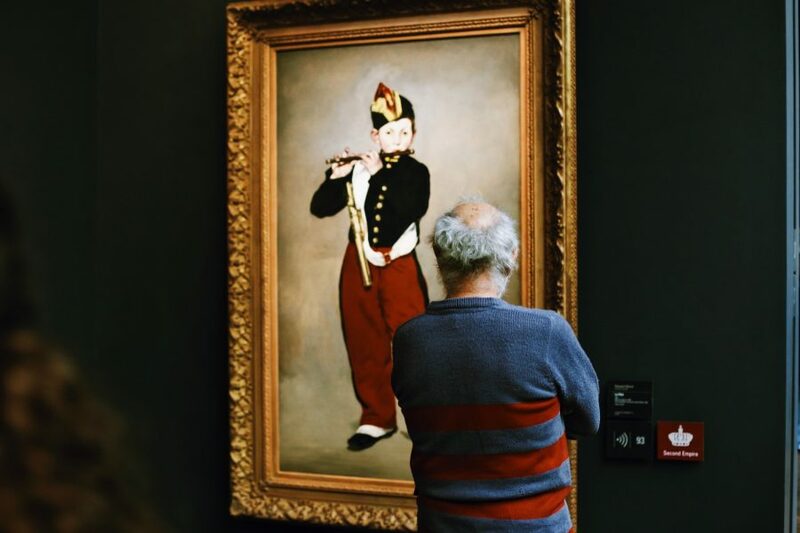 By the end, you’ll understand why Paris has become one of the most important hubs for artists in the whole world. We had the pleasure of taking two private skip-the-line tours with Babylon. Belen was our guide for the Louvre and she was a wealth of information, historical anecdotes, and insight. 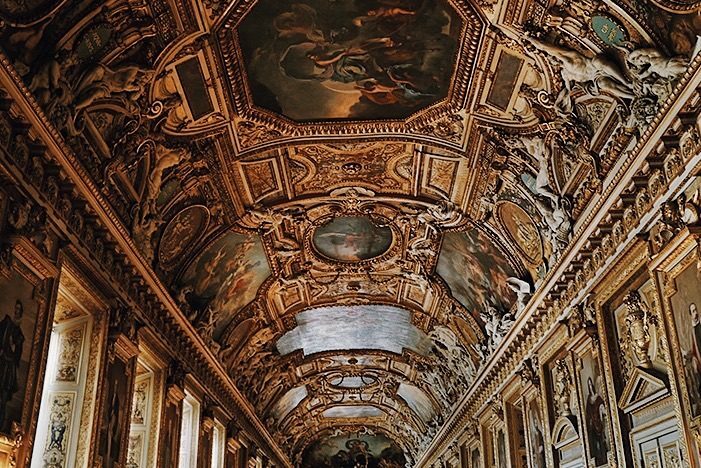 We walked away feeling that we not only got to see the Louvre, but also received an education in art and history. 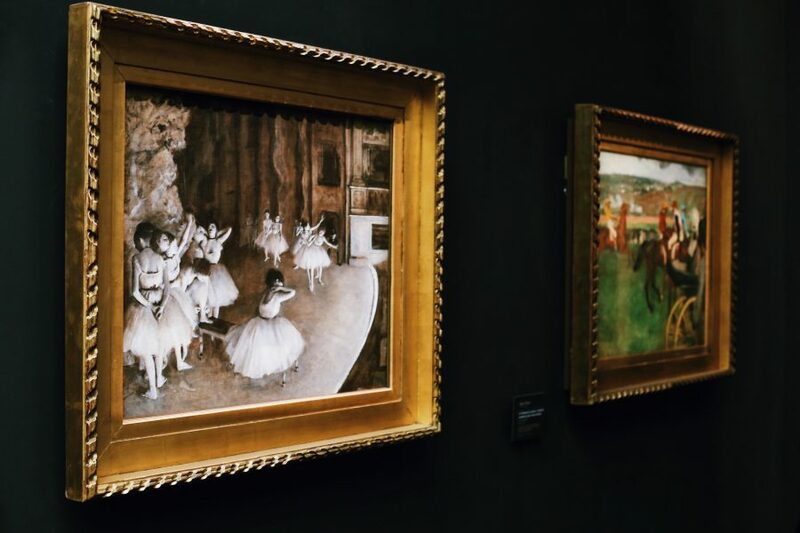 We also visited Musee d'Orsay with Liliya and it was another great tour filled insight that made art and museum come alive and deepen our appreciation of the pieces. We actually got our tour start time confused and ended up being half an hour late. Liliya patiently waited for us and did not cut out tour short, for which we are eternally grateful . Being able to freely interact with the guides allowed for a wonderful experience. Both of the guides were a pleasure and the company was very easy and flexible to work with. We recommend with no reservations. Fabulous--Lili brought the art to life. She expertly and comfortably explained the artwork with insight into its technique, historical perspective and humor. 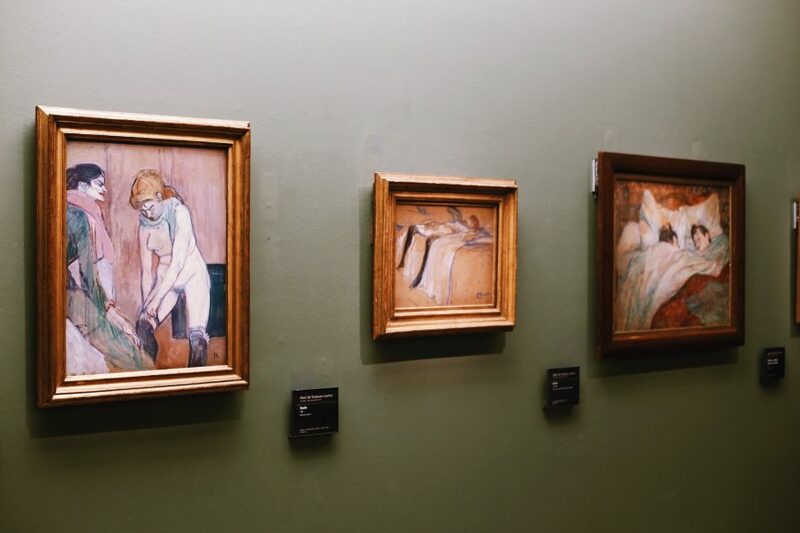 The size and scope of Louvre & even Orsay are intimidating--without a guide and small group, my visit would have been frustrating and stressful. It is a pricey tour, but definitely worth it. We had another great experience with Babylon. Dario took as to see how this two places connect. It's the best experience we've done in Paris so far! Loads of history and interlaced stories. 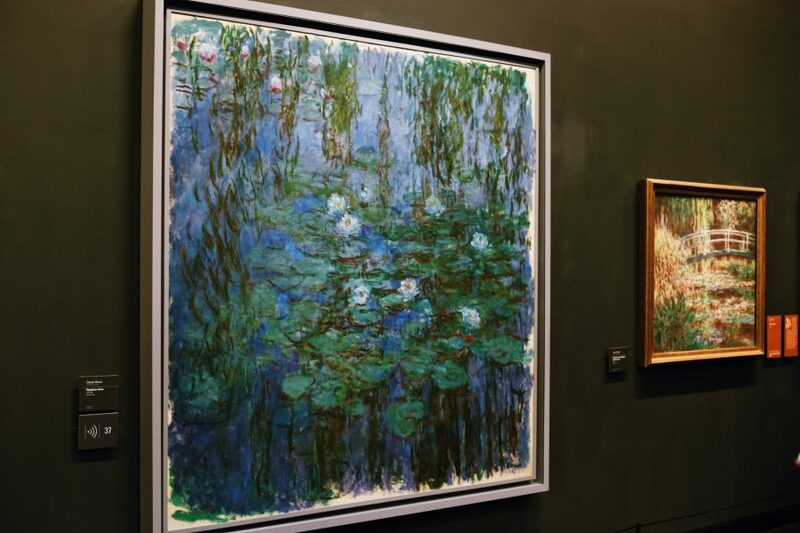 Big names such as Monet, Manet, Van Gogh and Picasso. Our guide - Lily - was friendly, educated in art history and very efficient. This was our 4th trip to Louvre and D'Orsay museums but the first when we learned so much in a short time. Babylon Tours is to be commended. Took a tour today of the Louvre & D'Orsay with Lili from Babylon Tours which I am happy to say exceeded our expectations - Lili was patient, informative and a pleasure to be with. Would highly recommend her to anyone. We had an incredible day visiting both the Louvre and D'Orsay museums. Our guide Tina was amazingly personable and knowledgeable. She navigated us through the museums stopping at each of the highlights where she shared her incredible knowledge and passion for the piece, it's artist, it's history and its influence on the developing art community. 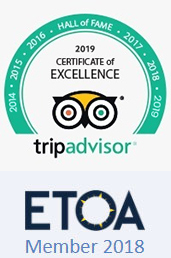 Well done Babylon Tours! What a wonderful tour. We went on the Louvre and D'orsay tour. Christina was a great communicator, informative, full of anecdotes and historical information. An incredible worthwhile experience! We can't rate this tour and Christina highly enough. The guide Belen is exceptionally knowledgable and passioned to transmit the art history. 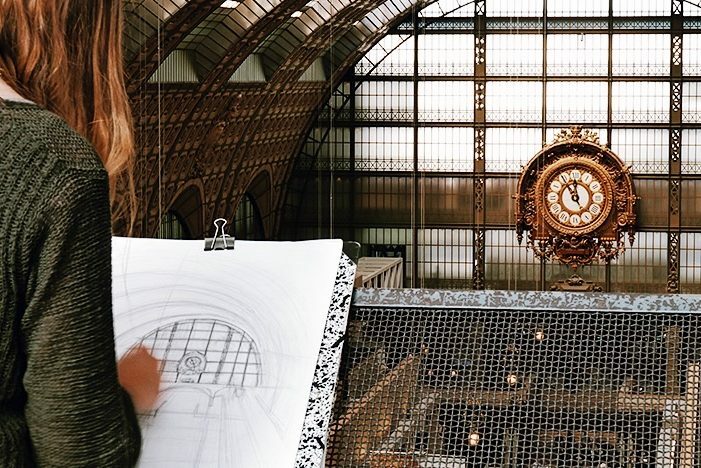 Couldn't find a better way to visit Louvre and d'Orsay for the first time. Many thanks and congratulations to you for having Belen. 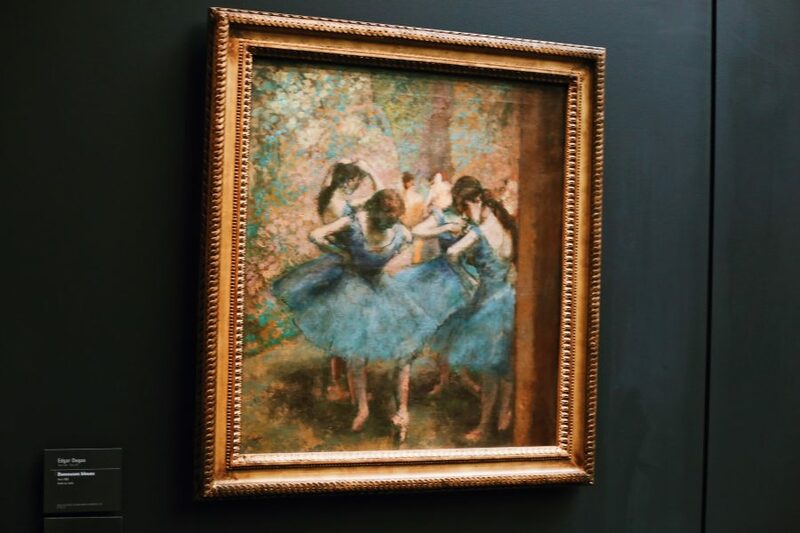 My family and I (three teenage girls) went on the very ambitious one day tour of the Louvre and Musee D'Orsay. 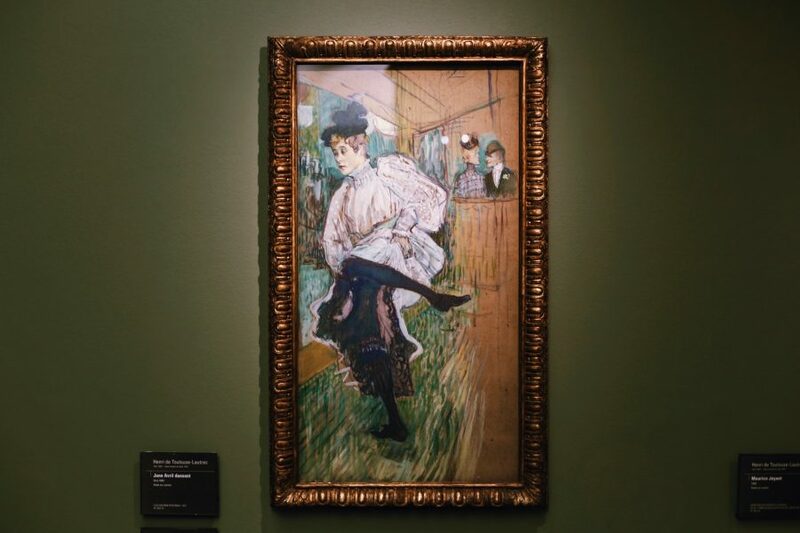 My wife, a primary school art teacher whose curriculum is based on much of the impressionist, was a little nervous about hitting both museums in one day. We were fortunate enough, however, to get Christina (Tina) as our guide. She was a wonderful guide and a wonderful person. She took interest in each one of us and her knowledge of art history was incredible. She really brought the art to life. As I mentioned, my wife is an art teacher and is very keen on art history herself so Tina was the perfect guide for us. So was it too much in one day? I am surprised to find myself saying, no, it wasn't. The right guide can make all the difference it seems. We never felt rushed and saw everything we wanted to see (and more) in the very short time we had. We did about 10 tours on our trip to Europe this time. Out of all of them, this is one I would gladly pay for again. It was worth every penny. When you visit a city you always feel that you should go to the must see places. In Paris of course one of these is the Louvre. I have learnt though that to get the best out of these very busy places doing a tour is the best way. I have also found the smaller the group the better. Babylon promised a small group and there were only 3 in the morning and then just myself and my girlfriend when we moved onto the Musee D'Orsay. Melissa was our guide and quite simply she was excellent - really good knowledge - very friendly and both my girlfriend and I got a huge amount out of the day. The knowledge she had of the history and the pieces was excellent and you felt she was not simply working off a script. She had a love for what she was speaking about and it really came across. I felt that we really enjoyed the visits and would highly recommend them as we came across them by accident really. Hillary is an awesome guide!! She is very knowledgeable in all aspects of art and art history. She was fun to be with and we enjoyed a lunch with her between the Louvre Museum tour and the Musee d Orsay tour. She was insightful and kept our attention throughout both tours. We cannot say enough about Hillary and hope you get her for your tour!! Lillia was great, very knowledgable, passionate about her subject and a good communicator. We took two 16 year old girls to the Louvre and Musée d'Orsay and she kept them attentive and interested throughout. We have used Babylon before and will do so again. We had an organised tour through Louvre museum and the Museum d'Orsay. Our guide was Lili and she was fantastic. I have to say she just exceeded all our expectations. She was very nice and her knowledge of the pieces of art is so great and we had such an interesting experience with all the stories behind the various pieces. That way it felt so much more interesting. I must say that was one of the best experience we had in Rome. We were very thankful. Our boy 18, got all this information and was very pleased as well. I would highly recommend this tour. Thanks again Lili. Our guided tour of the Louvre and Museé d’Orsay was excellent. Lilia was our guide and we were very lucky. We are not what you could consider “cultured” people. She managed to keep it interesting by linking history to the paintings, sculptures and objects of art during the visit. Time flew away and before we knew it, the tour was over. 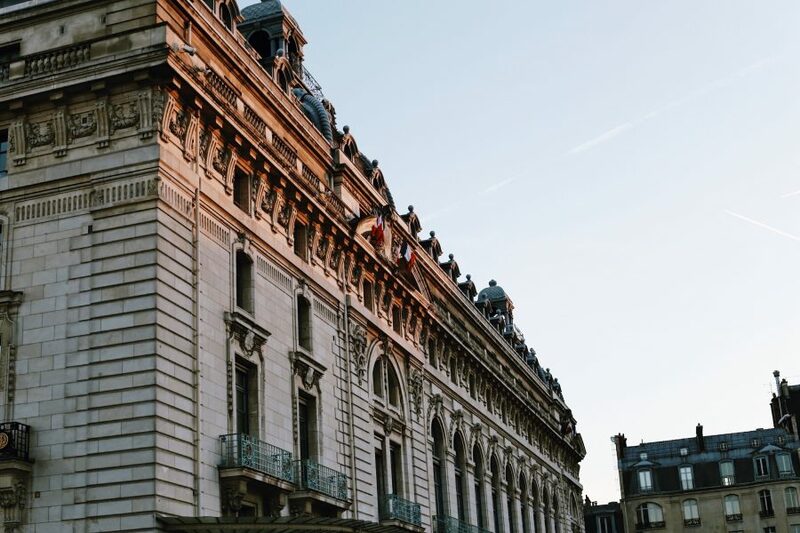 Starting at the Louvre and finishing at Museé d’Orsay takes you from ancient to modern. 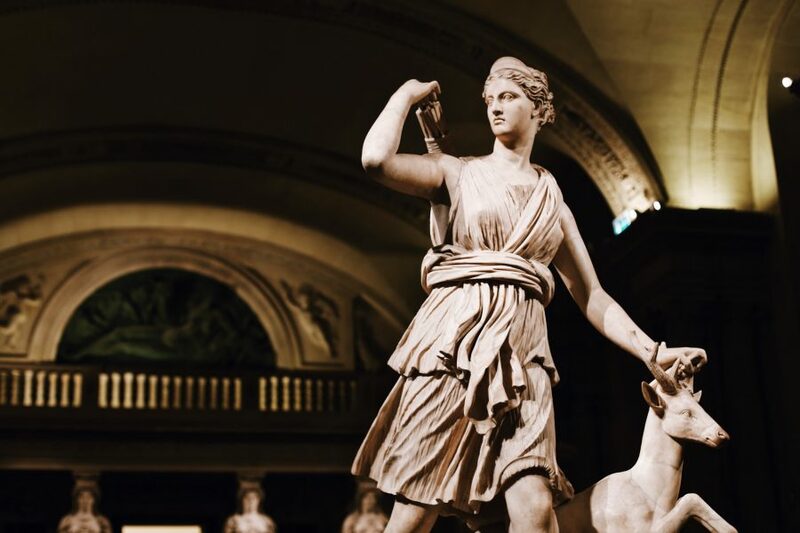 She took us to see many of the famous pieces housed at these two wonderful museums; Diana, Cupid & Physique, Venus, Monalisa, Van Gogh’s, and many others famous artists. She told us about their personal lives while admiring the pieces, which are intrinsically linked to who they were. Half day to discover and admire these treasures is short. 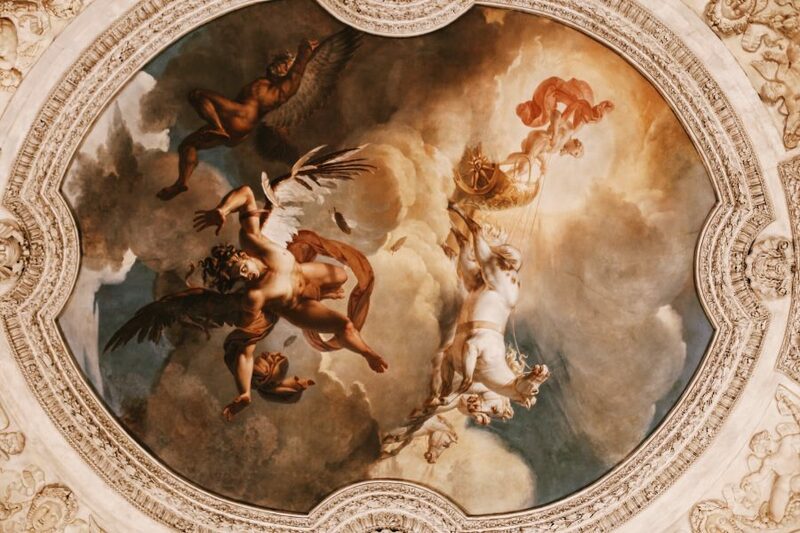 They contain so many pieces of art that a few days would be the rule. 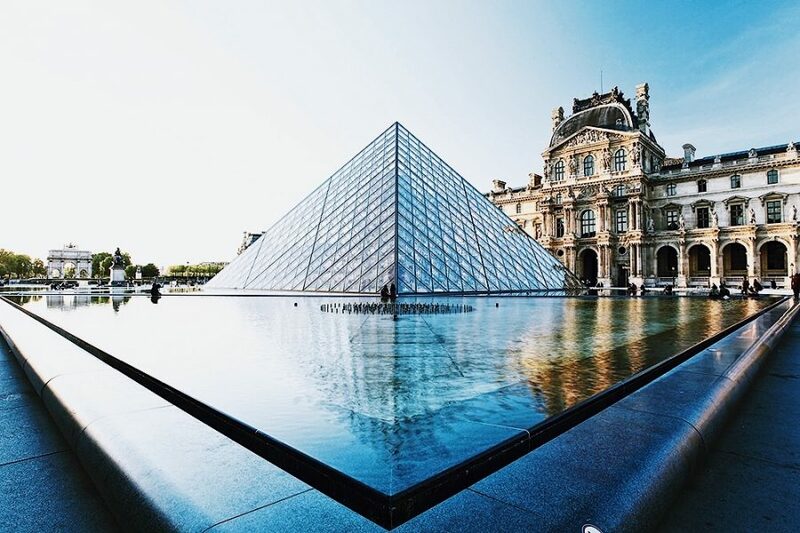 But if time is short while in Paris, we recommend this tour to wet your appetite and come back for more on your next visit to the City of Lights. This was my 1st time in Paris and one of the highlights of the visit were the tours of both these amazing museums! I would recommend this tour without any reservation. Belen was amazing and I learned to appreciate the works so much more as a result of her expertise. We did the Louvre and Musee d'Orsay tour. Our guide Lily was exceptional. Her friendliness, knowledge, and passion for art showed throughout the day. We loved her stories. Meeting point was easy to find. 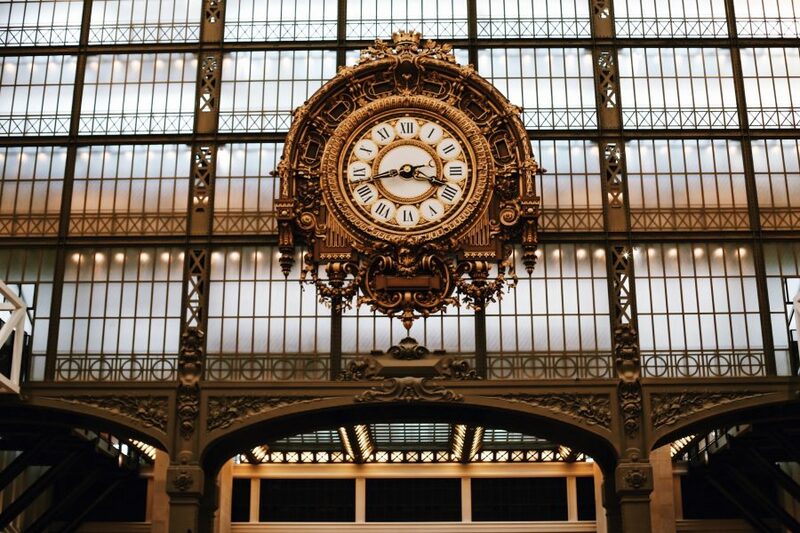 We got to stay in the Musee d'Orsay after the tour ended. Skipping the lines was great! We had a wonderful experience today, thanks to our guide Chris, of these two world famous museums! 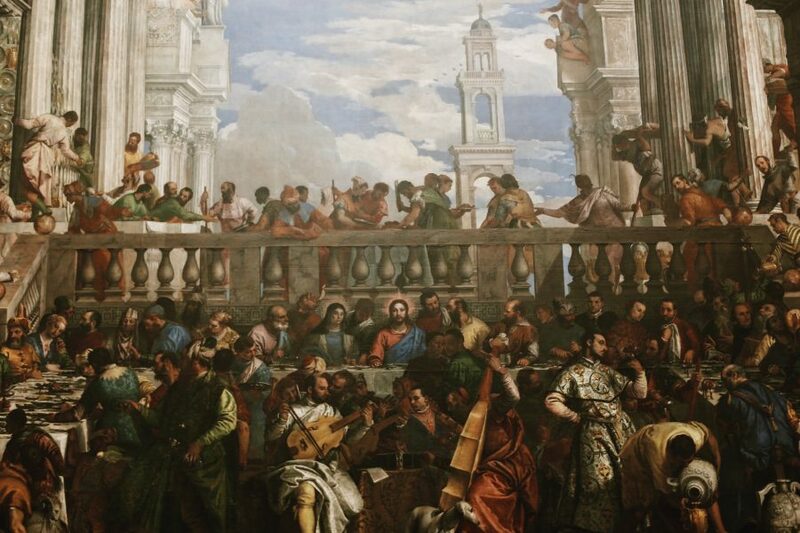 With so many great works of art to see and miles of corridors to negotiate, we could have easily gotten lost on our way to the "must see" paintings and statues. Instead, Chris guided us to the treasures and along the way, identified even more interesting but less well known works of art. He was extremely knowledgeable about not just the art but about the history and the politics of the era when they were created. 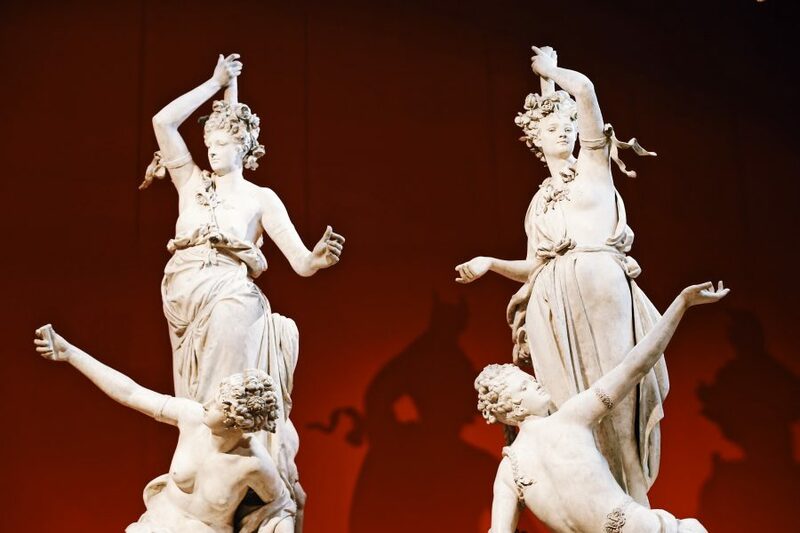 Well worth the extra cost to be able to appreciate these great museums while you are in Paris! 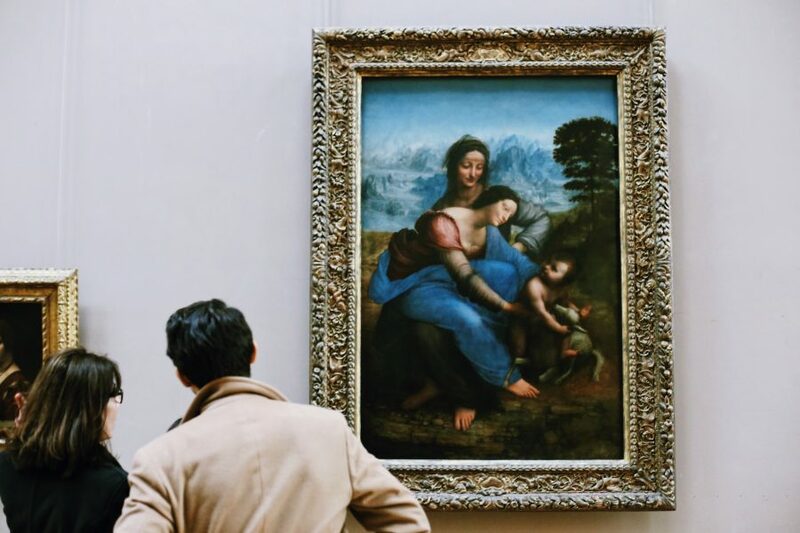 I took the Louvre and D'Orsay tour with my teenage children, which was ambitious, but with Chris as our guide, was an amazing day of art appreciation for all of us. We all came away understanding more of the history of each period as well as having a better appreciation of the art works. Chris kept us engaged through both museums and allowed us to enjoy selected works without being overwhelmed by all the art on offer. 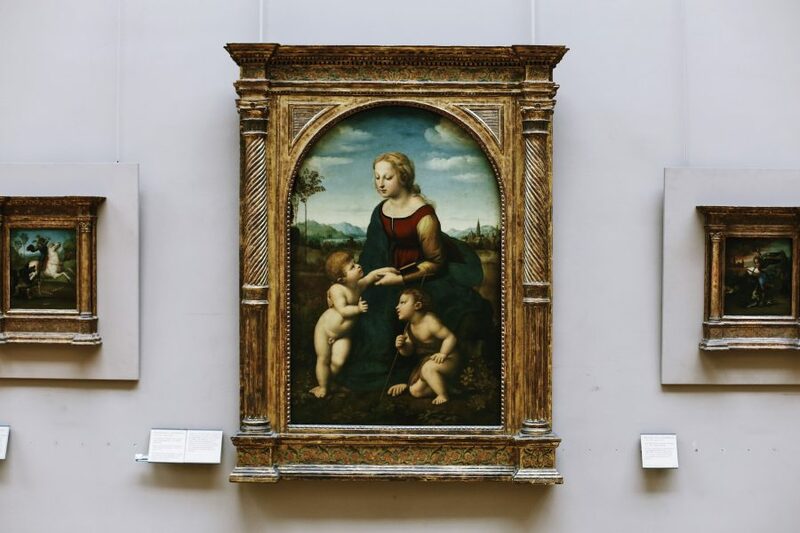 Our guided tour of the Louvre and d'Orsay museums were wonderful; for the art enthusiasts that enjoys art but might only have limited art history knowledge, I highly recommend a personalize guided tour to get a unique, insightful experience with brief history, stories and additional details one can not get from audio headsets or on their own. Our guide, Dario, was enjoyable and provided great perspectives to connecting art periods, stories and backgrounds of the various artists and the works of art we saw at these two "must see" museums. 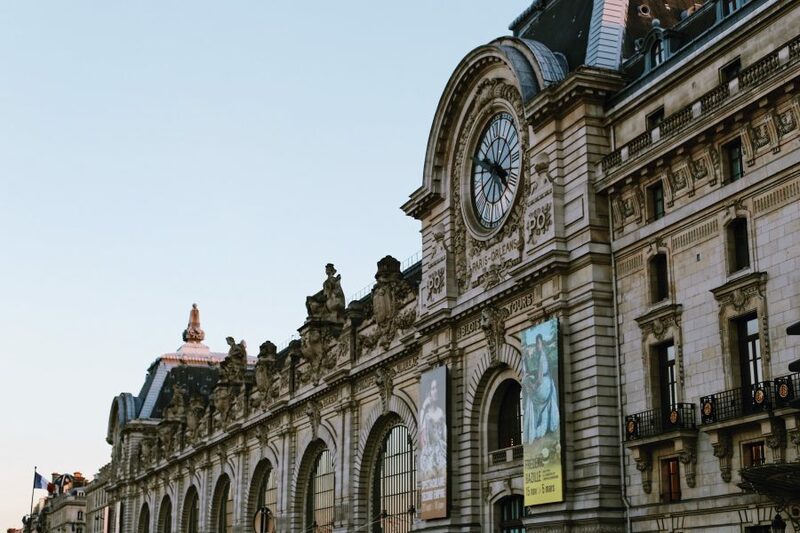 We took a tour of the Louvre and the Orsay museums in June. Our guide was Alexander a French American guy very passionate, entertaining and he was happy to take pictures. We had a great day; it was the perfect combination of history and art. Thank you Alexander! 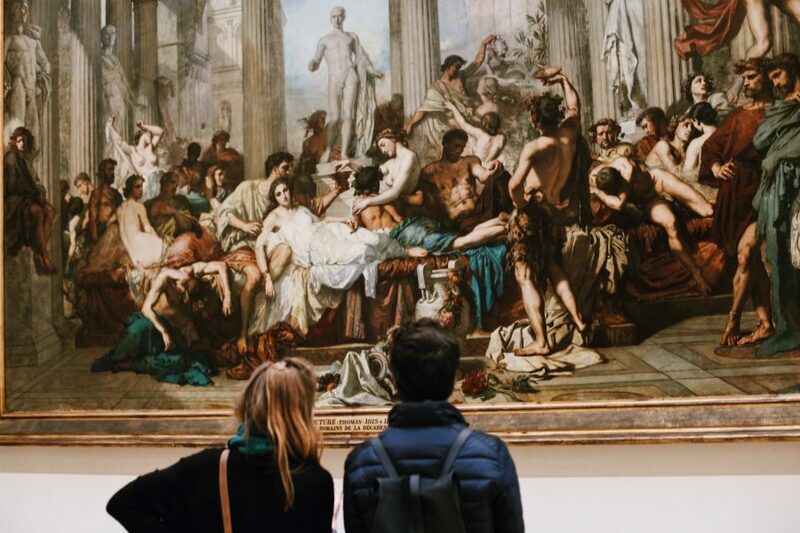 We bought the "skip the line Private Museum Hop Tour", honestly is the best way to visit so many museum. Our guide Belen did an excellent job. And recommend this company 100%. 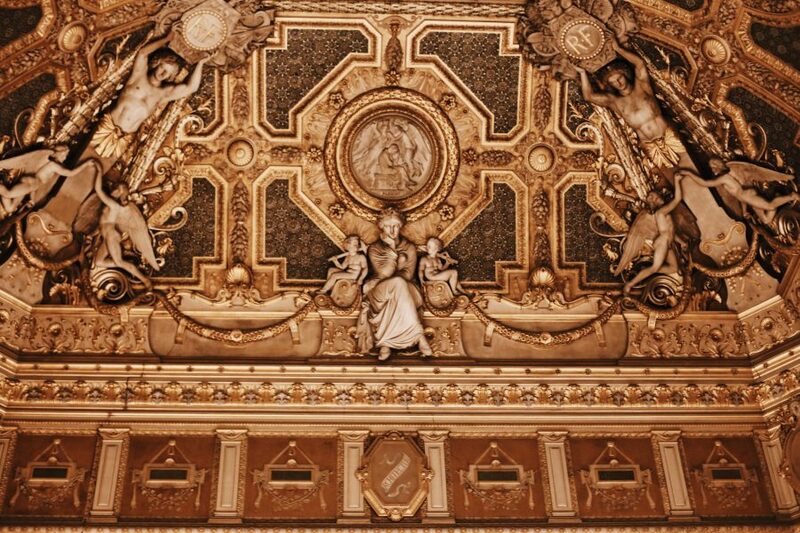 We did the Louvre and Orsay combo tour with Babylon in 2nd week of July. While the tour was quite expensive, it was money well spent. We got priority admission to the museums thus avoiding long queues. Our guide Naf was very knowledgeable, polite and helpful. 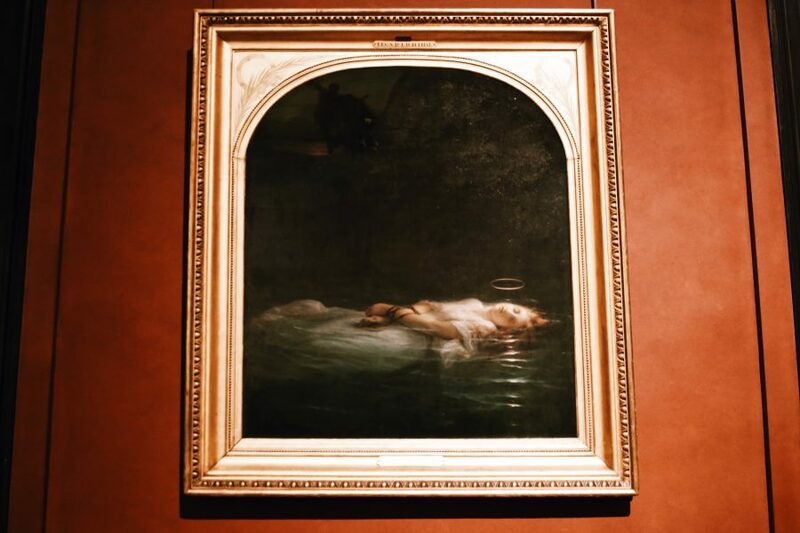 She patiently explained the context and significance of various masterpieces displayed in these fabulous museums. The tour lasted about 5 and a half hours including a lunch break. Wonderful experience with this tour group. They were well organized, attentive to details, and ran on time. Amanda was our guide. She knew the museums well, had planned in advance which pieces she wanted to highlight for us but was open to looking at any requested as well. Her talking points were on the mark, conveying historical information with some experiential approaches to the pieces. A nice blend of education, humor, and fun. Would highly recommend. 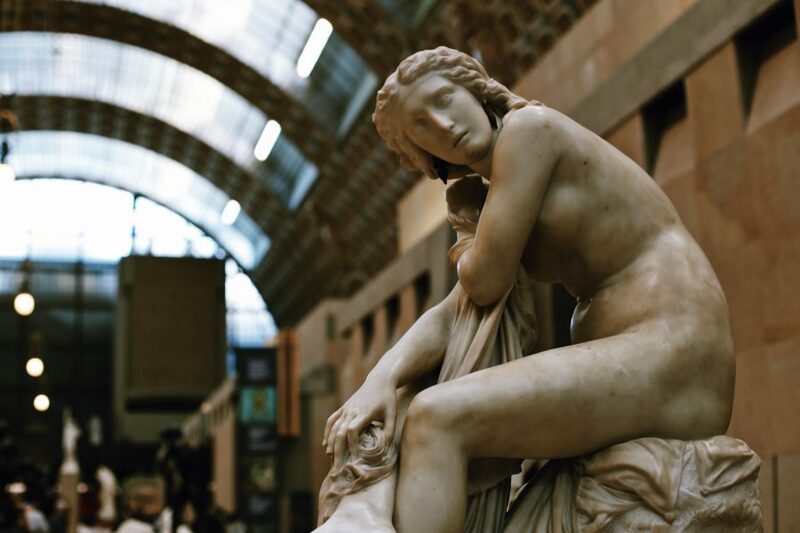 We booked the Skip-the-Line: Louvre Museum and Musee d'Orsay Tour. My wife and I feel that this was the best tour we have ever taken. 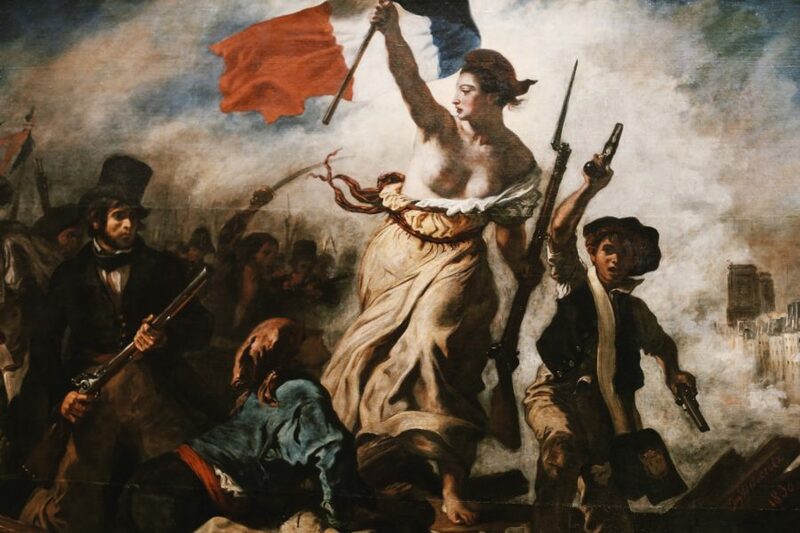 We learned a great deal about Art and French Culture. Belen is the model of what every tour guide should be. Her intelligence and love of art was infectious. She really wanted us to understand each major piece in terms of it's cultural context and why it's considered important. We took the Louvre and Orsay museum tours with Belen as our guide. She was wonderful. She gave us the history of Paris while taking us through the Louvre and discussing the different art and it's historical relevance. My husband, 15 year-old son, and I loved it. 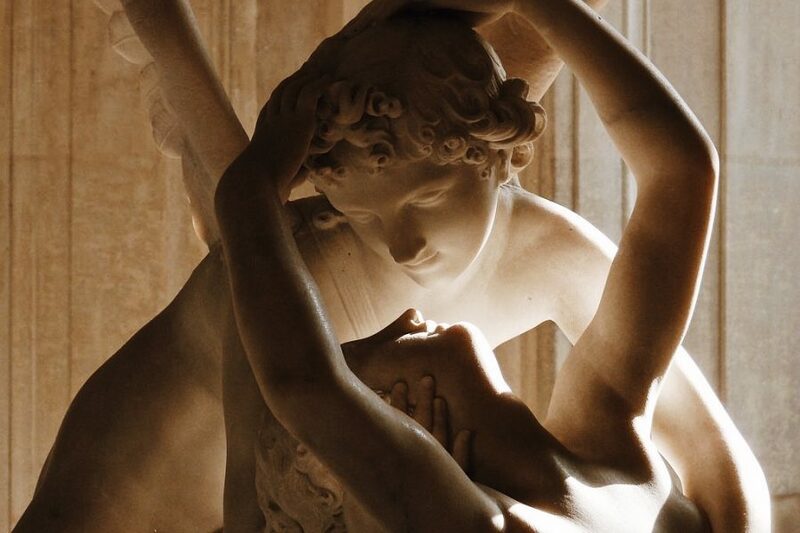 With just a little knowledge of art history from college we would have been lost in the the Louvre. It's incredibly overwhelming. 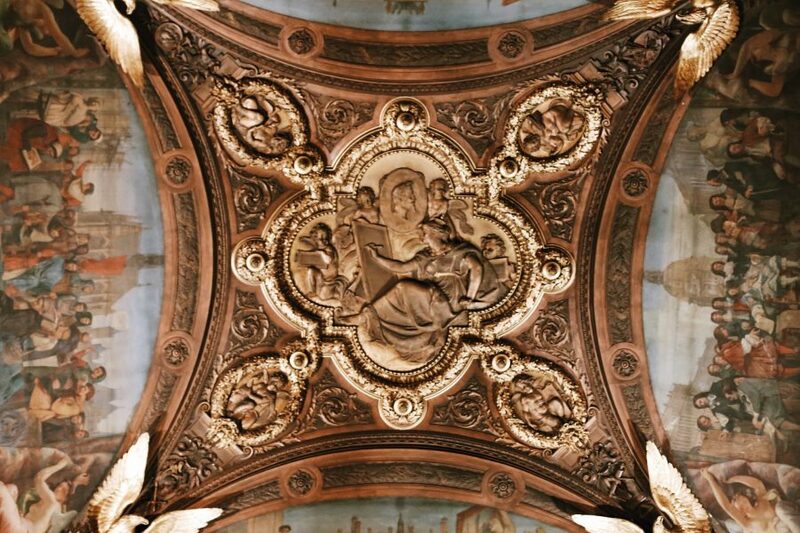 I would highly recommend this tour and Belen to anyone visiting the Louvre. Belen also gave us some great information about the art in the Orsay. My son was really impressed and said she made visiting the museums really interesting and he didn't think he would have like the museums nearly as much without Belen's giving us the tour. Neither would my husband or myself. 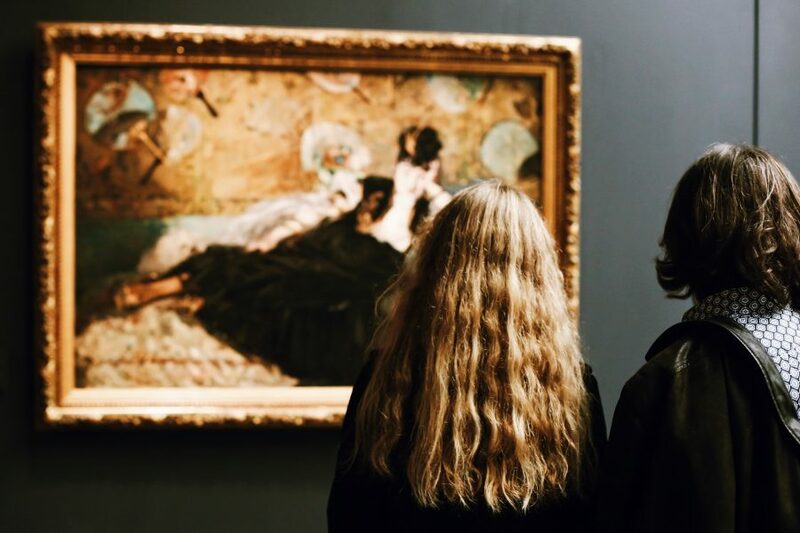 Unless you are an art history major, my husband and I believe the only way to see museums is with a guide. Christopher was exceptional, we enjoyed every second! We did the highlights tour and I'm sure Babylon has a suggested "route" for their guides, but every random question I had, Chris was able to answer. You could tell he really loved what he was doing. I have already recommended Babylon and Christopher twice and we highly recommend to you. Enjoy! We booked this online a few weeks before traveling so the company had no idea that strikes would disrupt our planned tour. We were to join a group of 2 others, and as we are three that would have been all. 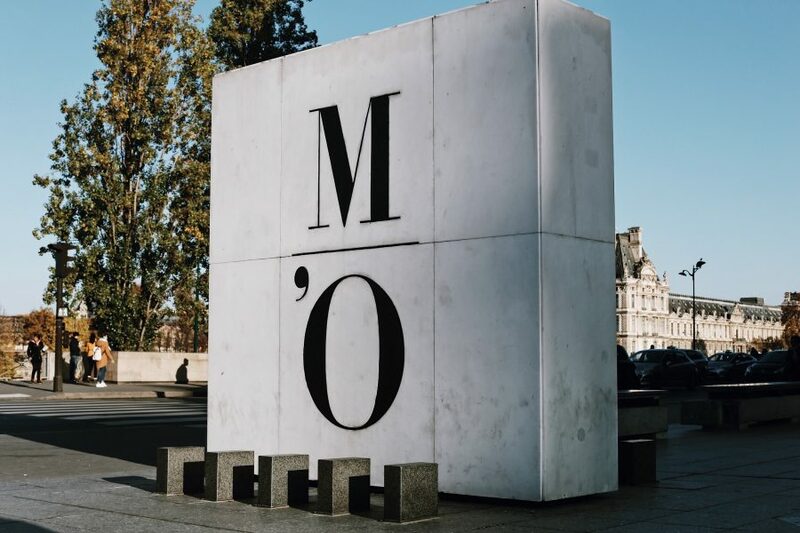 Due to strikes and museum closures we continued on just my daughter and I the next day to see the Louvre and the Musee d'Orsay. Belen was wonderful and we felt that we saw quite a bit of the highlights of each one. A good first visit to get our feet wet! Babylon company was great and refunded the cost of my husband's missed tour due the strike with no fuss. We would definitely give this company another go for a different tour! 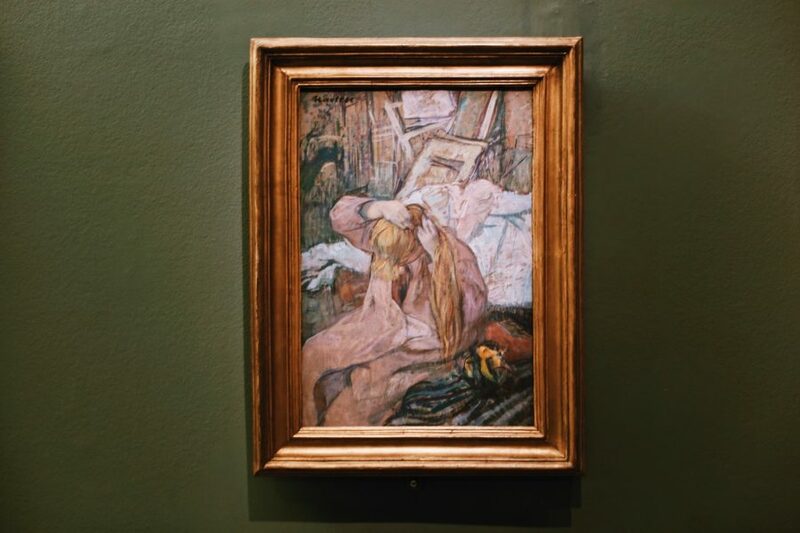 My husband and I were so lucky as to have our tour of the Louvre and Orsay with Belén. She did a fantastic job highlighting important pieces of art and explaining the historical and cultural importance of each, but she went on to explain the social dynamics of the era and how the many factors intertwined to bring about a given work. We moved quickly and accomplished a lot - we had a great experience in both museums and were almost overwhelmed with knowledge by the end of the tour. Top quality tour! Belen was our tour guide for the Louvre and Musee D'Orsay. She was excellent. She was friendly, very knowledgable and well informed. She made the experience so rich with her vast knowledge about the art and artists. 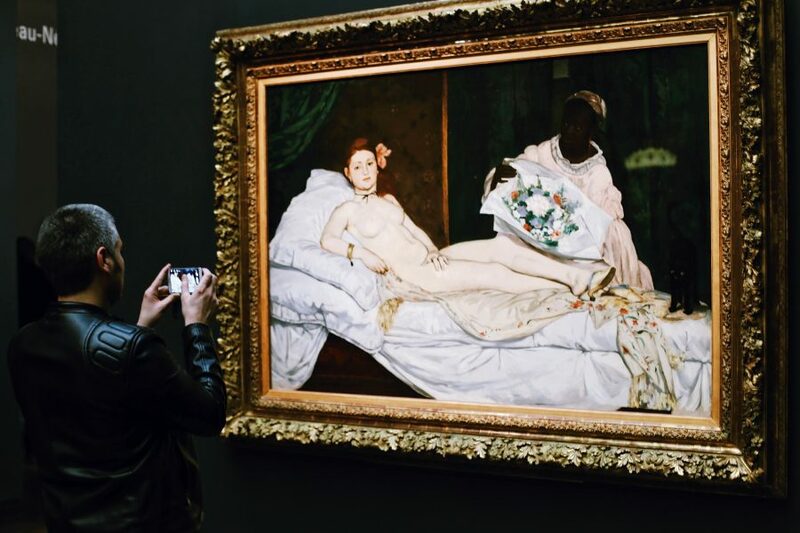 Her anedocotes about the art and artist made the experience and expense worth every penny. I highly recommend the tour and guide Belen. 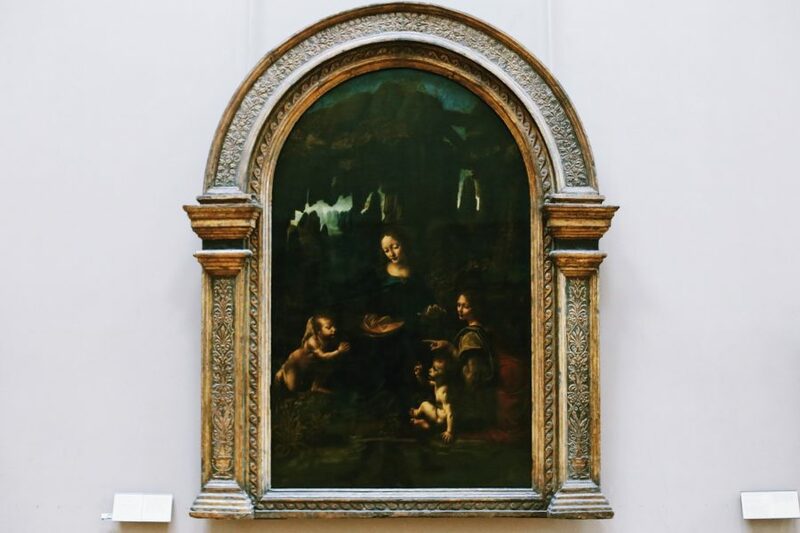 I would highly recommend Belen Roncoroni, she is an expert in art history and is so passionate about sharing her knowledge! We toured the Louvre and Musee d Orsay with her and learned so much about the history of Art in Paris! She was lovely and we enjoyed spending the day with her! Bellen took us on an expert guided tour of the Louvre and Musee d'Orsay and we had a wonderful time!! The stories, facts and background information she shared with us on the sculptures and paintings we looked at made them come alive and really enhanced our understanding of each piece. Without her insight, we would have left both museums not really understanding the significance of their collections. 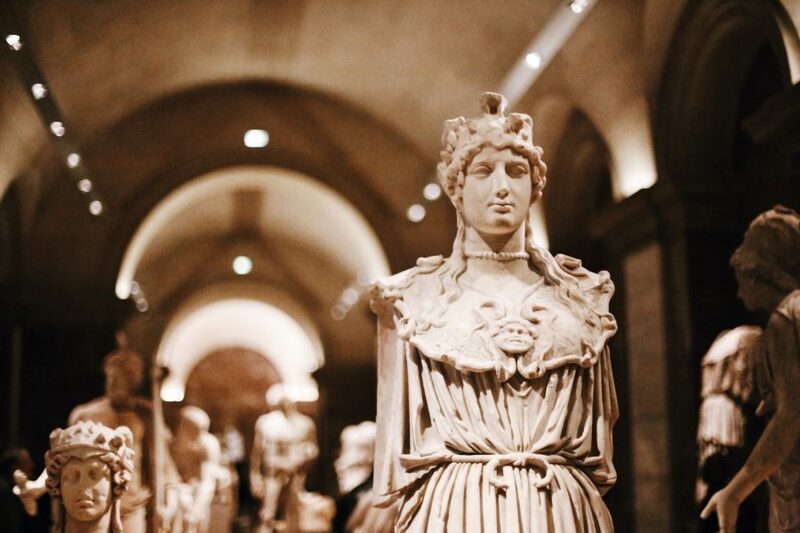 The museum tour was THE highlight of our 9 day Paris vacation (and we did a lot of stuff!) and I highly recommend their services!! I've had the pleasure of taking two guided tours with this company, both on different occasions. 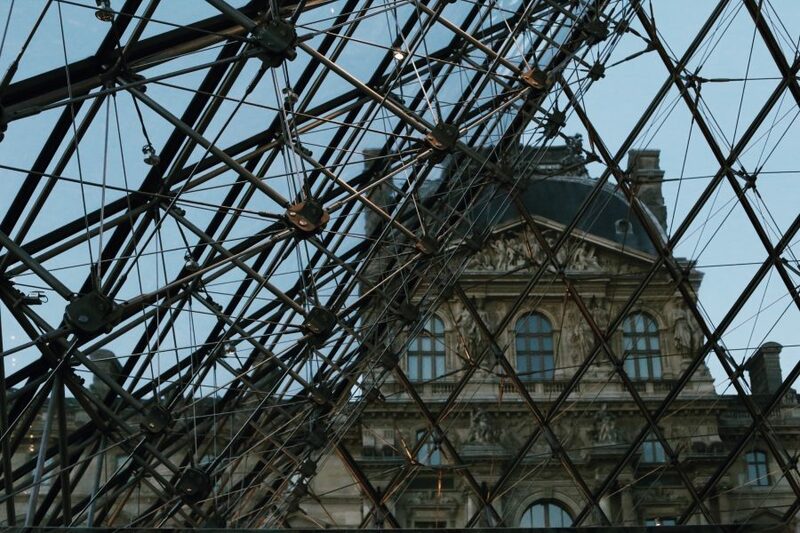 The first time was at the Louvre, which would not have been the same experience if I just went on my own. Dario, who was our tour guide, knew a lot of really fascinating facts about the art work, which I could barely keep up with! Overall it was a wonderful experience, very fun and educating, that I decided to do another tour the next day with Babylon, at Musee D'Orsay. I would recommend this to anyone who is looking for a one of a kind experience. Oh and be sure to ask for some good restaurant and cafe recommendations at the end of the tour! Dario guided us through the Louvre and Orsay as only an expert could. These tours were at the end of 3 weeks in Europe and I'm certain that without Dario we would have missed some of the magic of these museums. He even helped us with dinner reservations for our last night in Paris. I couldn't recommend this tour group more! Toured the Louvre one evening with 2 adults and 2 teen agers. 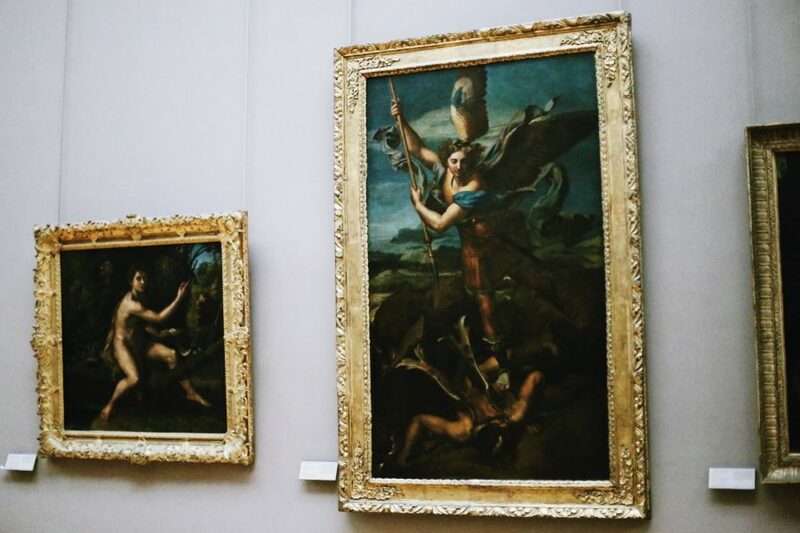 First time I actually enjoyed the Louvre and did not feel like it was a cattle call. More importantly our daughters also enjoyed it. Guide was prompt, engaging, funny - actually acknowledged how ugly some of the older religious art is which humanized it - especially for our girls who can glaze over when looking at those pieces. The next day we toured Mont Martre and D'orsee with the same guide. Again, very enjoyable, educational, and cultural. It was great to learn about the lives of the artists and see what inspired them before looking at their works of art. Would highly recommend this out fit! We toured Nice, Versailles, Giverny and the D-Day beaches and as a family with other guide groups - and overall we liked this guide group the best. My husband had a slight preference for D-Day though - but that's his favorite topic. 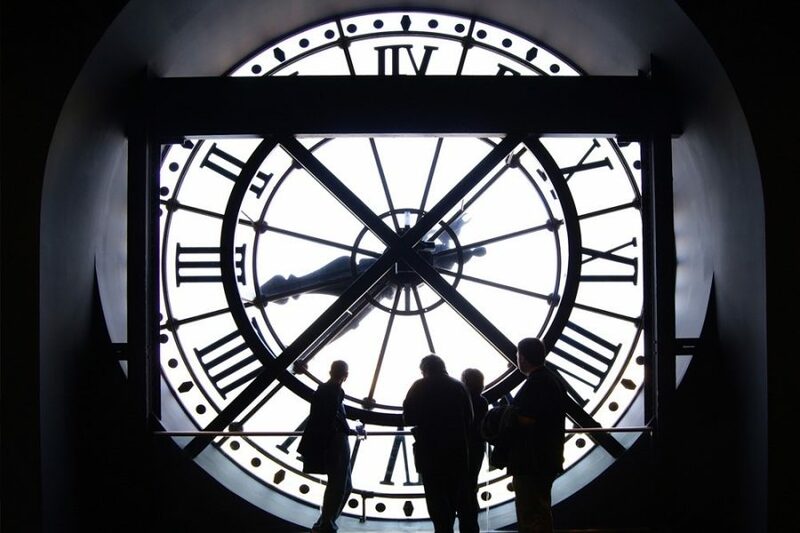 I set up 2 days of walking tours and trips thru the Louvre and d'Orsay. I had a 10 year old in my group and a 48 year old with the same attention span. We all had a great 2 days. Alex met us on time, was easy going, nice to talk to. He figured out who we were and what things we liked and made it a great 2 days. He has great knowledge of the arts and history and a good sense of humor as well. It wasn't like spending 2 days with someone we didn't know. It was more like a family adventure and he led. In fact, the day after our 2 days with Alex we went to Sainte Chappelle and the neighbouring museum and we were sooooo lost and bored without him. I'm not a huge art fan, but we located one day to get an introduction to the Louvre and D'Orsay. Alex gave us the perfect tour. 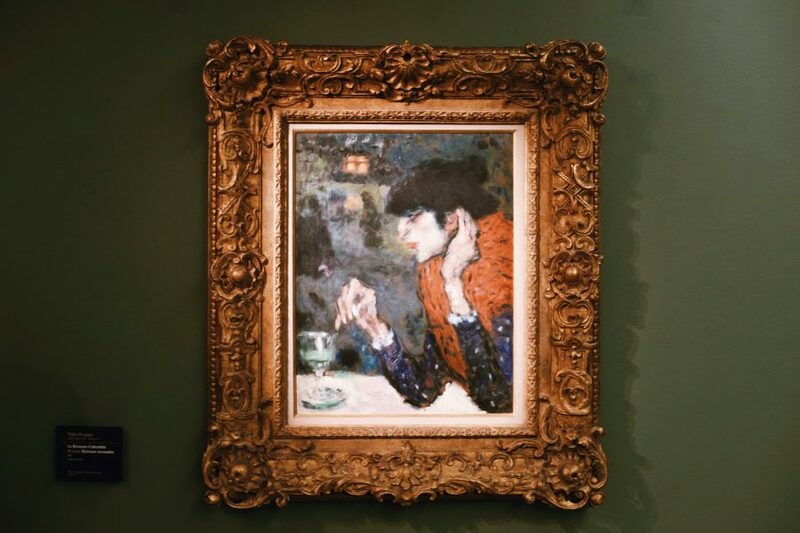 With just 4 people, he gave us a private tour that didn't focus on checking the boxes but gave us an interesting and engaging introduction to art history and the foundational pieces housed in Paris. I highly recommend Alex for any art-related tour. We booked a 5 hour tour of the Louvre and Orsay museum with Babylon. It was our last site visit of a 9 day vacation and while very excited, we were also a little site seeing fatigued. However, because of Dario’s tour, it felt like it was our first day. He explained the Louvre in such a fun, knowledgeable way (he also managed to make sure the 45 minute strike didn’t interfere with our tour). 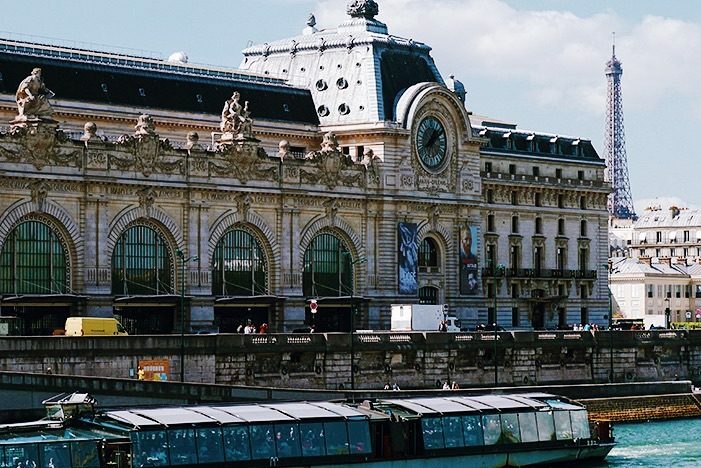 By the time we got to the Orsay, I couldn’t wait to hear about the artists and paintings. I’m just waiting for someone to ask me how Manet influenced Monet! Thanks for a great last day Dario. 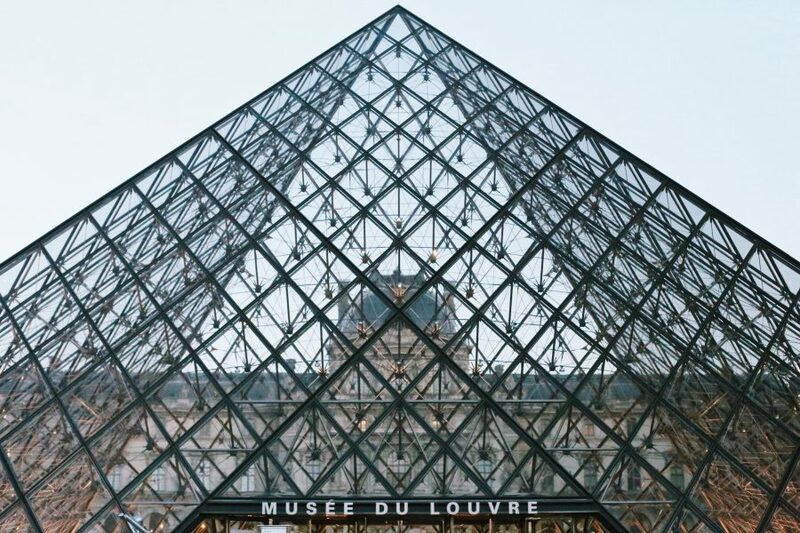 I chose this tour from Trip advisor and took the Hop Tour of Louvre and Musee D' Orsay. Darrio our guide ( girls he looks like a young Tom. Cruise) from Babylon Tours met us near the Louis XIV statue at the appointed time. I was lucky as our group was really small (3 ppl). Darrio initially left me wondering how we had such a young tour guide but he turned out to be 29. Also he was amazingly insightful. The Louvre overview took 2.30 hours and we saw the mini Sphinx, the Sun room ( on which the palace of Versailles is based), learnt about the original Louvre, the key artworks and sculptures( La Gioconda, Venus De Milo, the famous french paintings like 'The coronation of Napoleon', 'Liberty leading the people') etc. Darrio would position us at the right places, avoid the crowds etc. Choosing a Wednesday helped as the crowds were much less also the museum is open till late. Satiated of the Louvre we grabbed a coffee and after a 30 min baguette lunch headed across the Seine to the Musee d'Orsay. 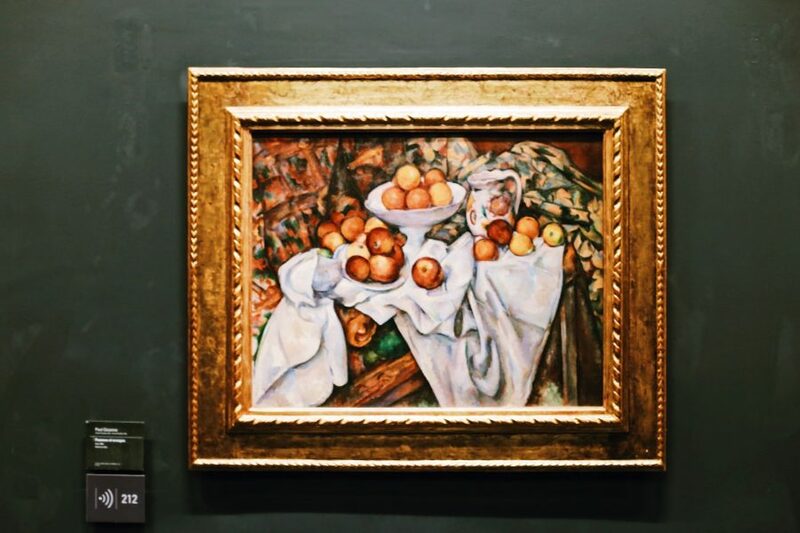 The impressionists are housed here and though it is much smaller than the Louvre, it has a remarkable collection. 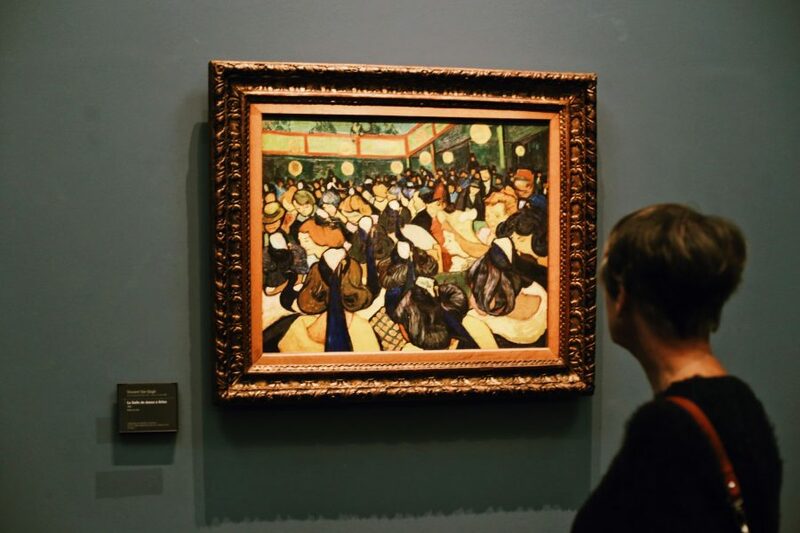 Here Darrio got into his rhythm and told us amazing insights on the building, the collection and instilled in me a deep understanding of how the impressionists worked. Darrio is a great conversationalist, took loads of pictures for me and kept the pace manageable and easy. 5 hours of museums can exhaust anyone but while my feet were leaden by spirit was light. Thank you Darrio and Babylon tours for an excellent day! We joined Laura's "museum hop tour" and were amazed by her extended knowledge about art and history! Our 12-year-old daughter did not get bored but excited all the way throught the tour. It was really impressive. Highly recommended!! I did both the Musee Louvre and Musee d'Orsay tours with Dario. He was an excellent guide; interesting, knowledgable, humorous and generous with his time. 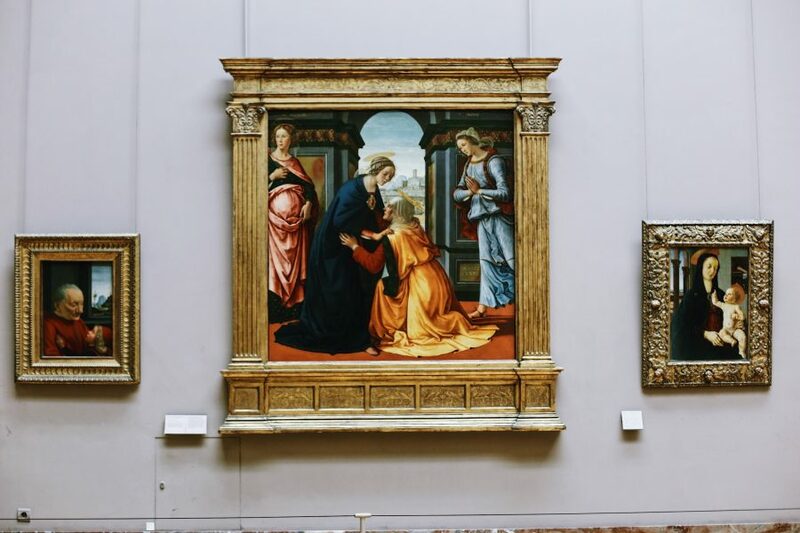 I would highly recommend this tour to anyone, not only to enrich your museum visit but also to navigate through the museums in a logical and efficient way. 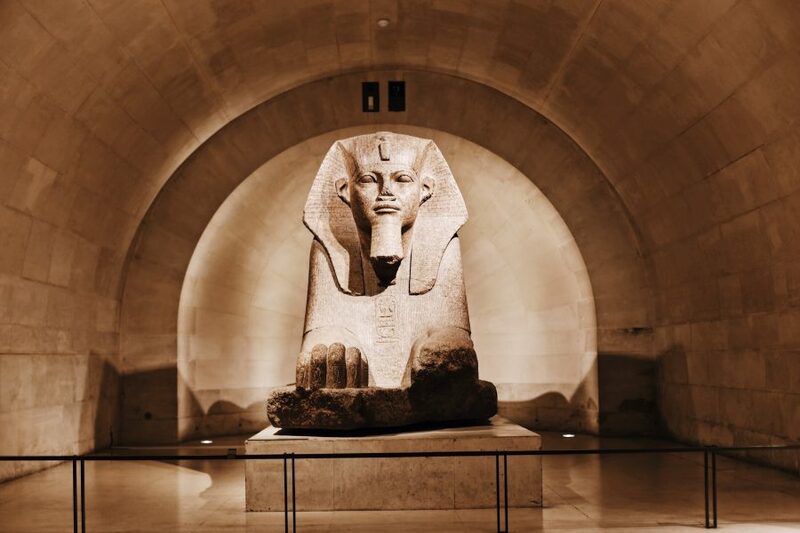 My family and I used Babylon Tours for our combination tour to the Louvre and Muse'e d'Orsay. It was a tiring, yet uplifting day. 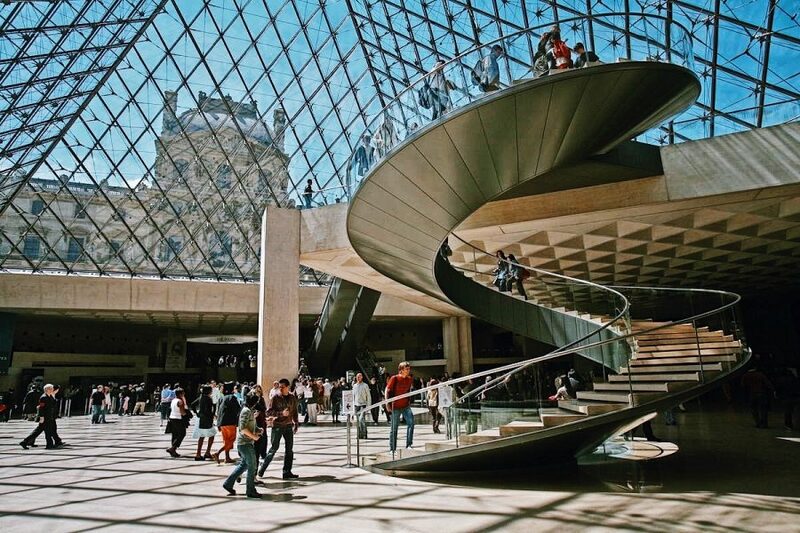 These two museums are a must while in Paris. While I am sure they can be enjoyed simply by exploring, we didn't have the luxury of days and weeks. 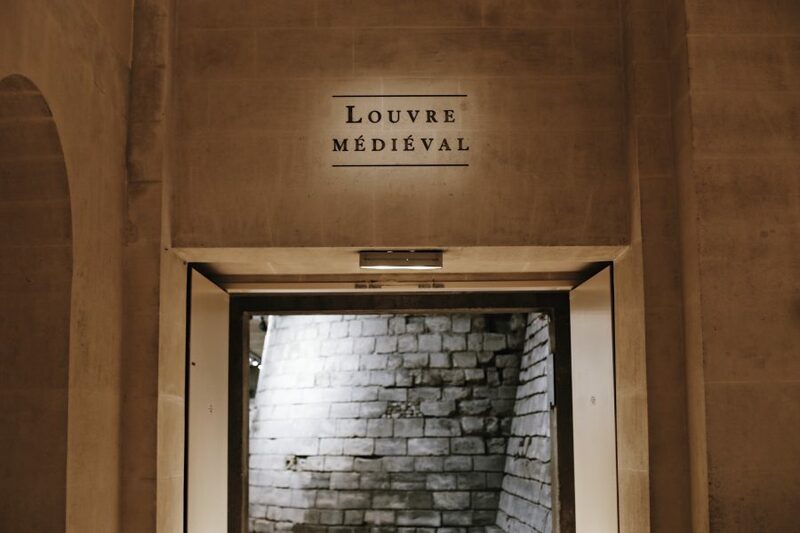 The Louve has to be a half mile long --- on one side! There are 3 sides. Getting through the crowds alone takes skill; showing exhibits and bringing them to life takes passion. Our tour guide Arneaut was passionate, kind and engaging. He was a true professional and we were lucky to spend our day with him. He took us on a journey from 4000 BC to 1910 between these two spectacular museums. The skip the line experience is a great benefit, but that is not the best benefit of this tour. The best benefit is seeing so much more than you can on your own. We had a great lunch in local establishment in between the two adventures. This day deserves the Excellent rating. 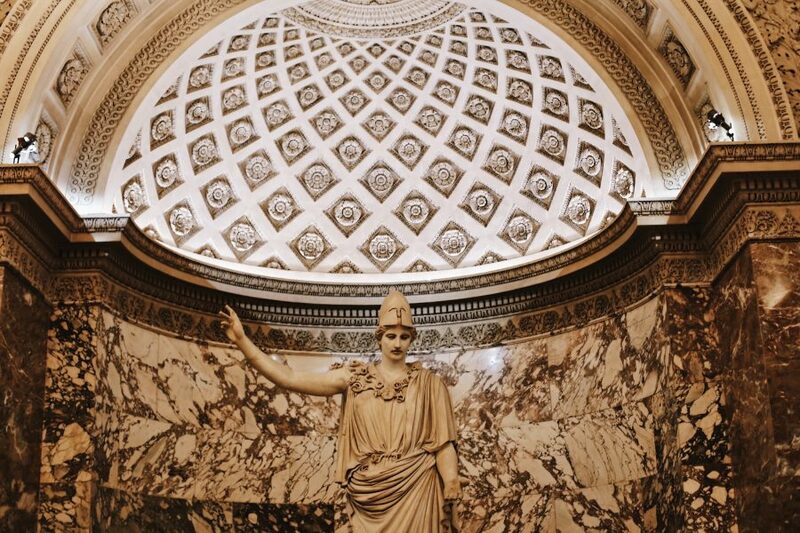 We recently spent 5 days in Paris and had the distinct pleasure of a tour with Laura. 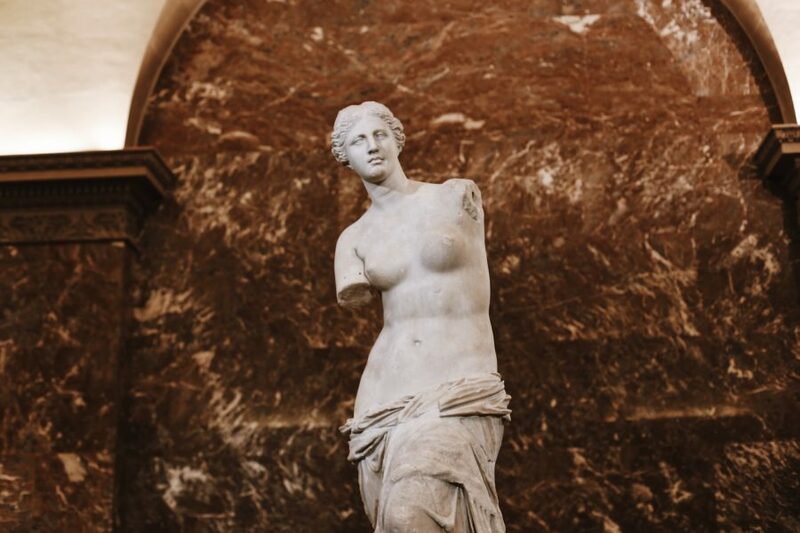 I was so glad to have her with us, especially at the Louvre. We were there on a busy valentines day, after a very long 24 hours of travel and no sleep. Traveling with my husband and two teens, it would have been overwhelming to find our way around. Laura took us to the key exhibits and was very interesting and knowledgeable. We all learned a lot. 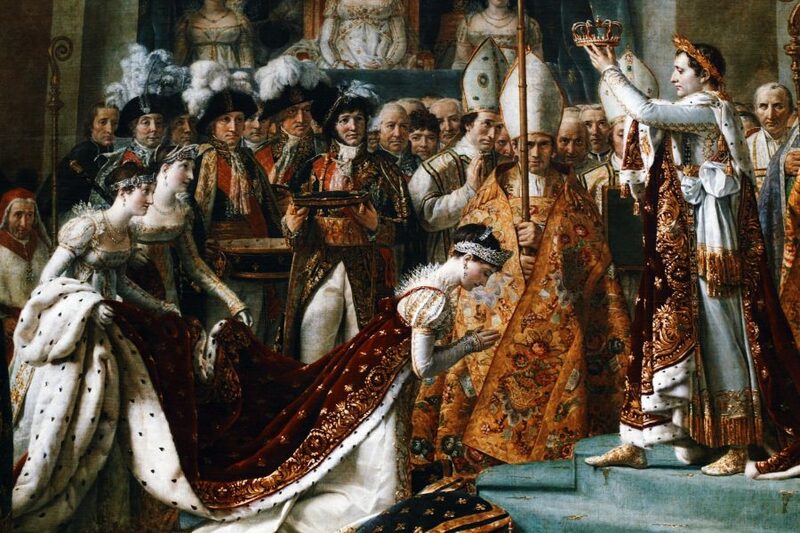 She recommended restaurants and assisted us with purchasing tickets to Versailles. She was a lovely guide. I can see why she enjoys living in Paris so much! Thank you Laura! From the cape codders. My museum tour through the Louvre and Musee D'Orsay was great. The guide was Filippa, and she was enthusiastic,informative and delightful. I would recommend it highly. We chose the Museum HOP! 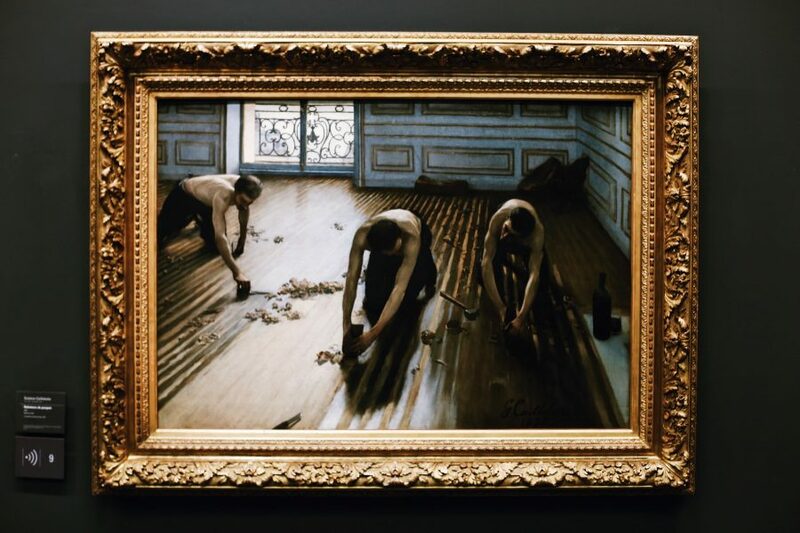 (Louvre and Orsay) as we wanted to know more about the art rather than wandering about both museums without much of a clue as we have done in many other countries. Our guide was Dario who was AMAZING! 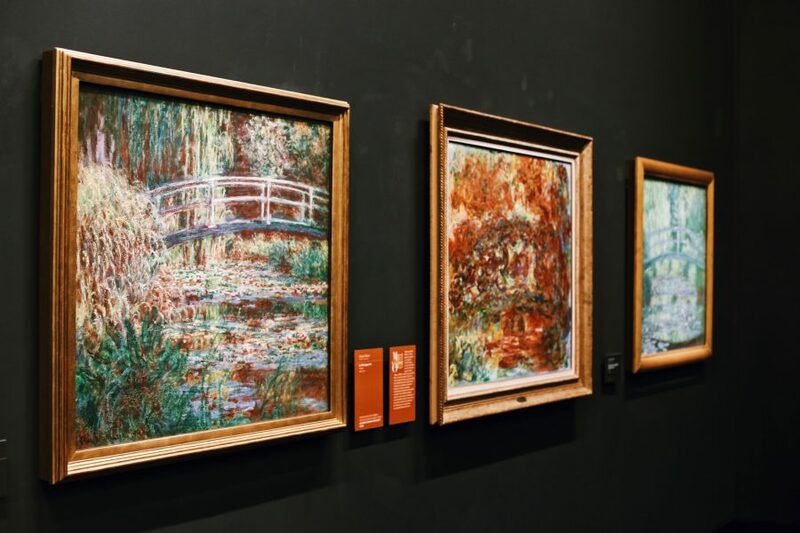 His knowledge and understanding of the different artists (in particular Monet and Manet) was outstanding and his enthusiasm made us want to learn more. 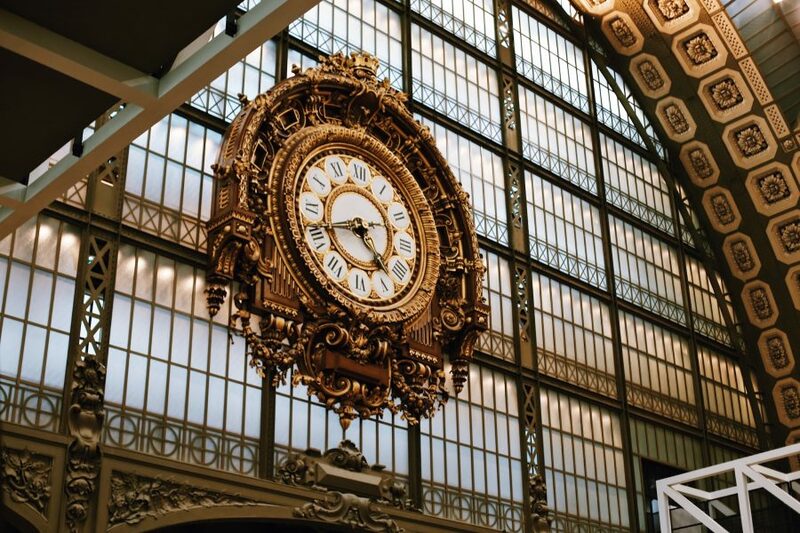 With Dario we could also skip the queue which was worth its wait in gold when we went to the Musee d'orsay. 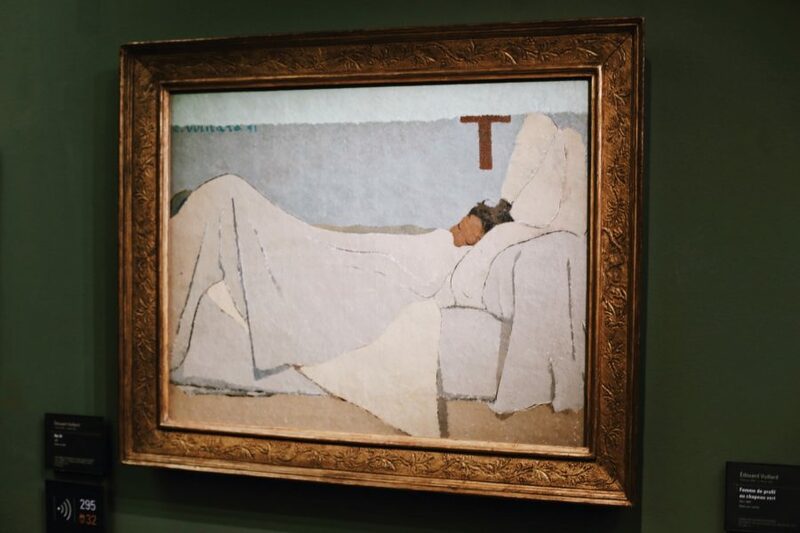 I cannot recommend this tour enough as a starting point for exploring the art of Paris in more detail. Recently we (my husband and me) had a great tour (small group - only two of us and guide) was wonderful. As our guide said he will give as so much information that next time we could explain to others. And he delivered: history of Louvre, history of painting, history of France all together in one lovely tour. 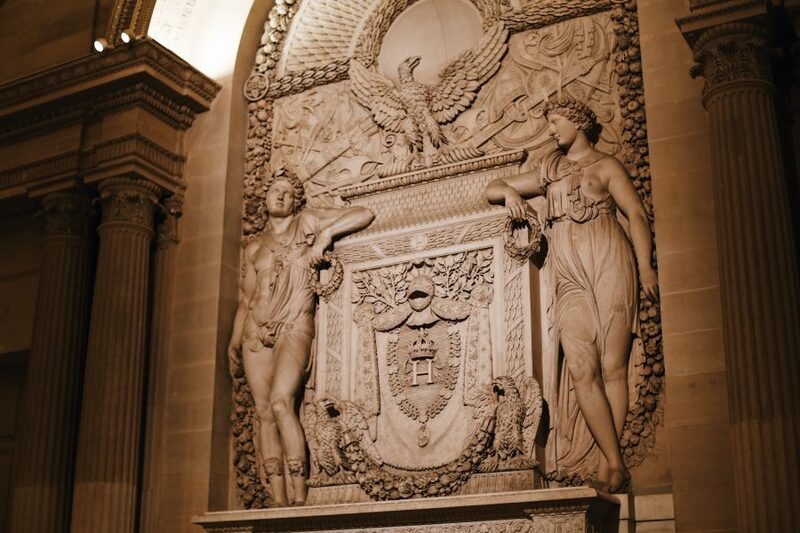 If you have little time that you can dedicate to the museums take this tour!!! My travel experiences usually don't include trips to the museum. When I travel I want to see the destination and not be inside of buidlings. 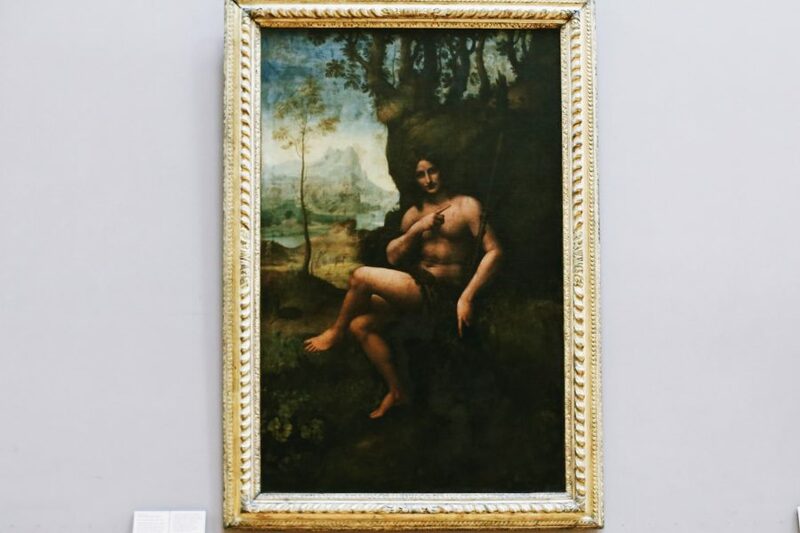 However there is only one Louvre, so I made an exception. Our guide, Arnaud over the course of 5 hours provided us with an intro on French Civilization through the art and sculpture at both museums. 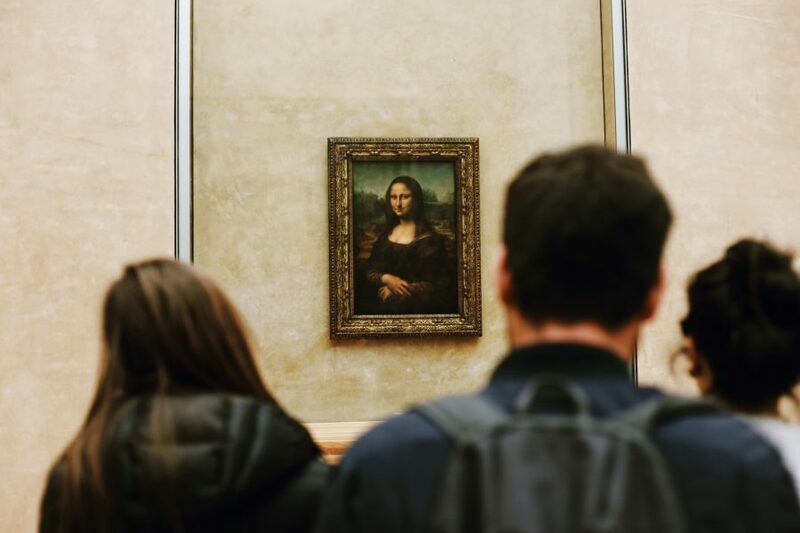 Had we not gone on the tour our time and knowledge would still consist of the Mona Lisa, Venus de Milo and other well known impressionistic artists. 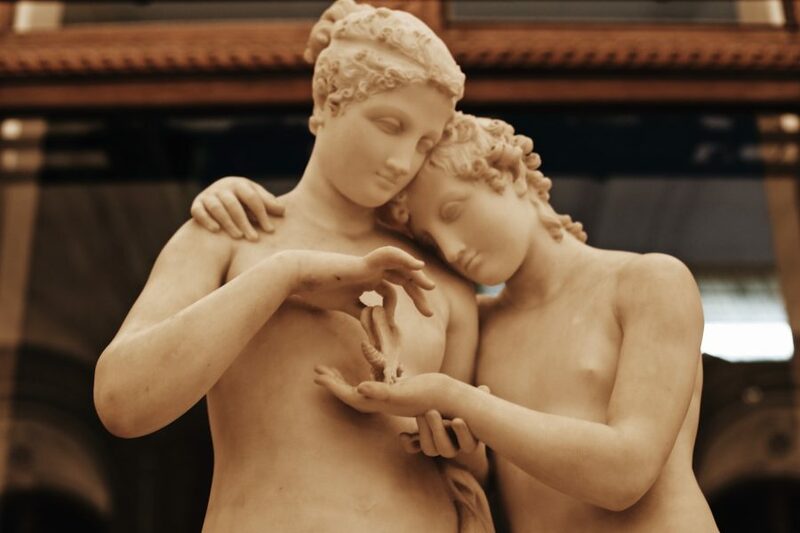 There is so much more to see and having an expert guide that provides knowledge and commentary regarding art and its historical significance was very worthwhile. 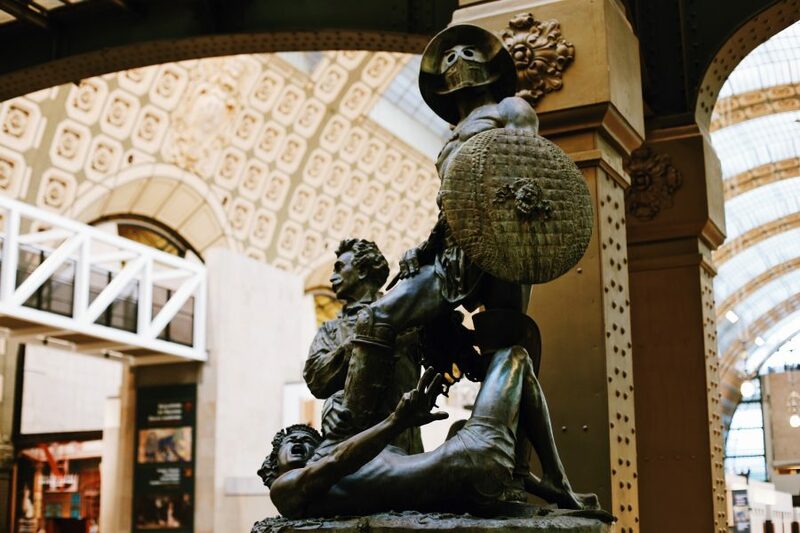 The Musee de Orsay a renovated train station is also an impressive museum. I highly recommend this tour and Arnaud as a guide. 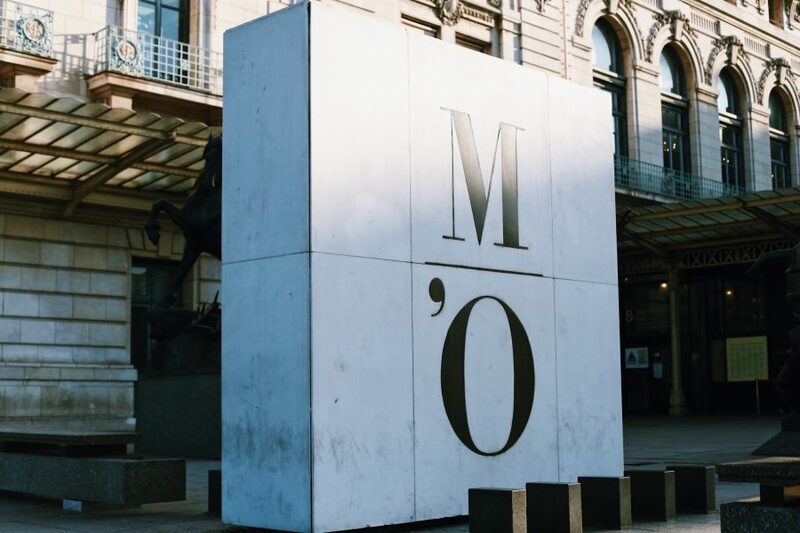 Amazing tour of the two most iconic muséums in Paris. Thank you Onno what Amazing day we had with you! Highly reccomended. We spent a fantastic day with Laura in Paris -- she showed us around the Louvre in the morning, followed by the Musee d'Orsay in the afternoon. It was our first time in both museums. It would have been quite overwhelming without Laura's expert guidance through these two amazing places. 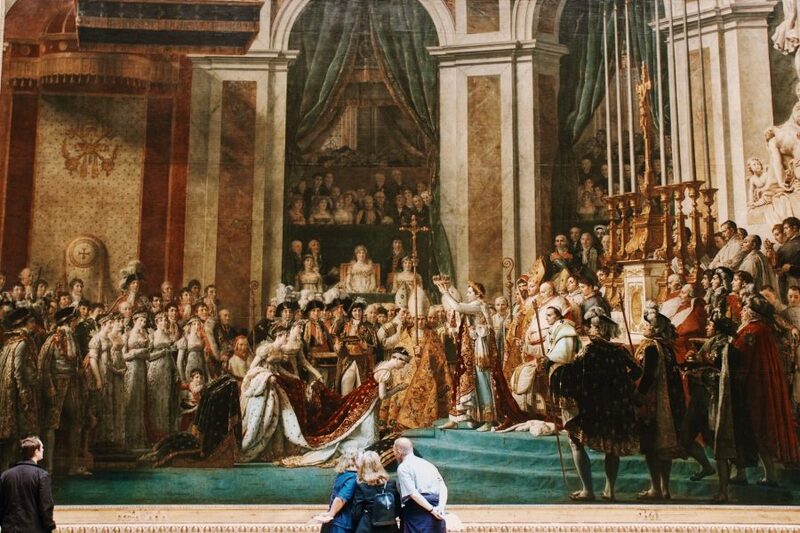 We really enjoyed her anecdotes about the history of the Louvre, which really brought the palace to life for us. 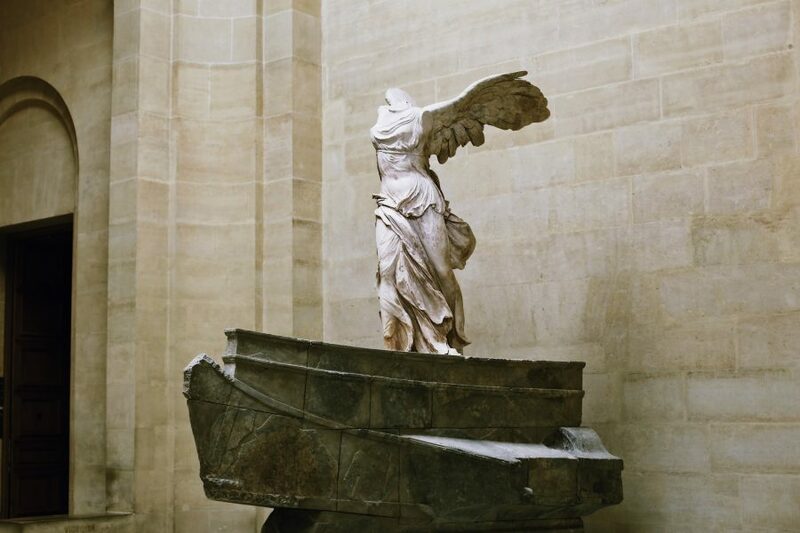 I would highly recommend this tour to anyone -- whether you have been to these museums before, and would like to view them in a different light, or whether it is your first time touring around beautiful Paris. Make sure you look out for Laura, too. She really went the extra mile to make our day spectacular. It was my wife's and mine first time in Paris. We did the gallery hop tour of the Louvre and the D'Orsay with Arnaud. We liked being able to see both museums in one tour. 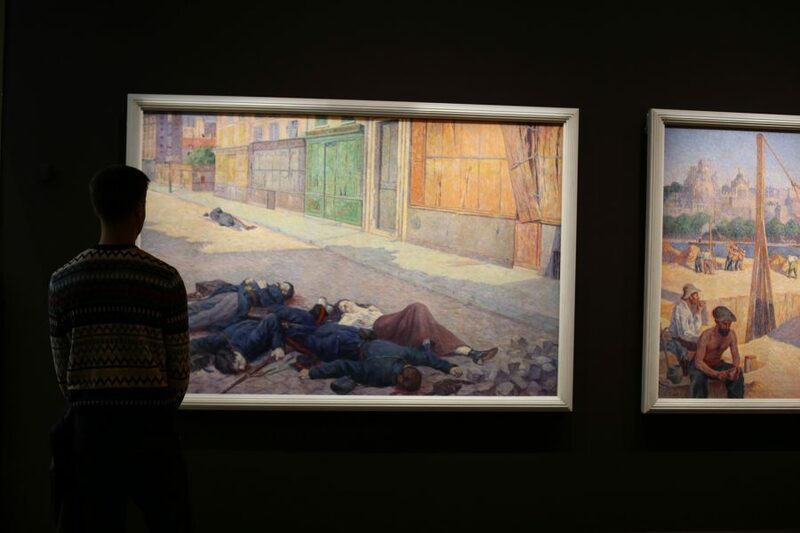 Arnaud was able to make the most of our time hitting the highlights of both museums. He presented the tours as a walking chronology of the history of art and was knowledgeable about both musuems. It was a great day and we would highly recommend Arnaud! 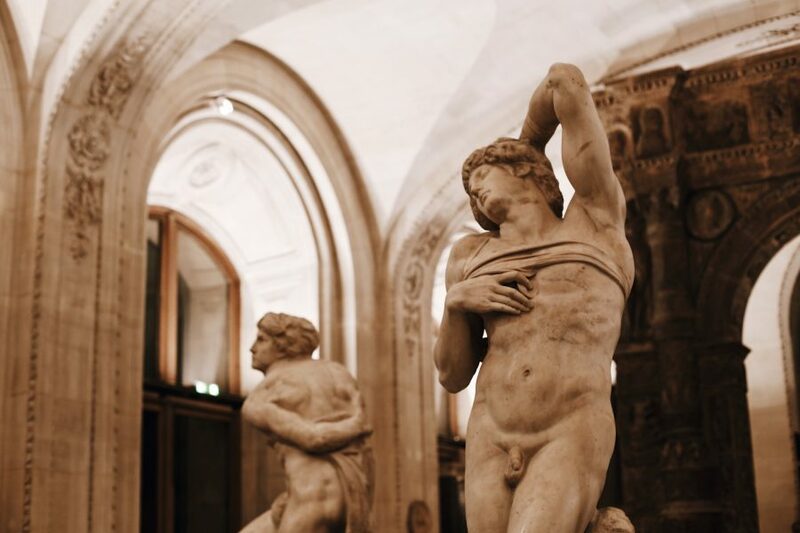 My husband and I went on tours to both the Louvre and the D'Orsay with Arnaud. 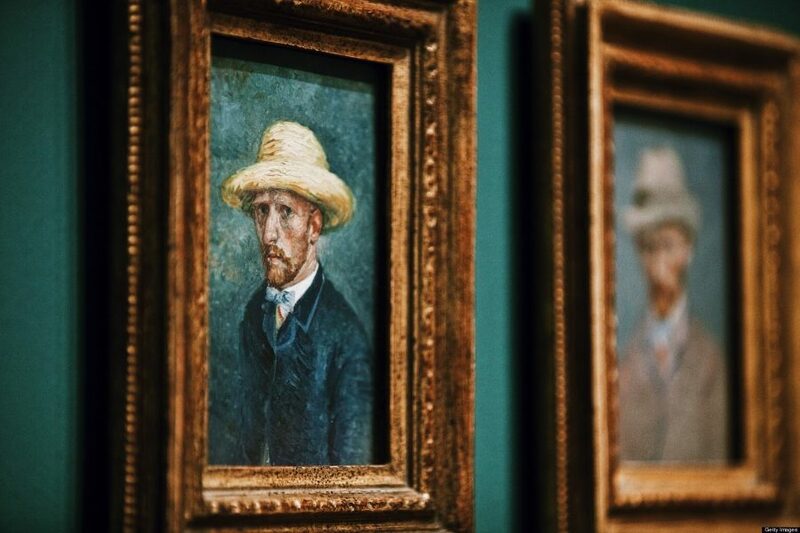 Neither of us are art aficionados, and we made sure to tell him up front that we were looking for the 'Art for Dummies' version of the tour. Arnaud was great - he was very engaging and extremely knowledgeable about not only the art, but also about the history of the museums themselves. He did a wonderful job of tailoring the tours to our interests with the perfect blend of history, facts and humor. We both learned A TON on the tours, and thanks to Arnaud's anecdotes, I will always remember the things we saw at the Louvre and D'Orsay. I would highly recommend both the Louvre and the D'Orsay tours with Babylon no matter what your interest level or background is with art. 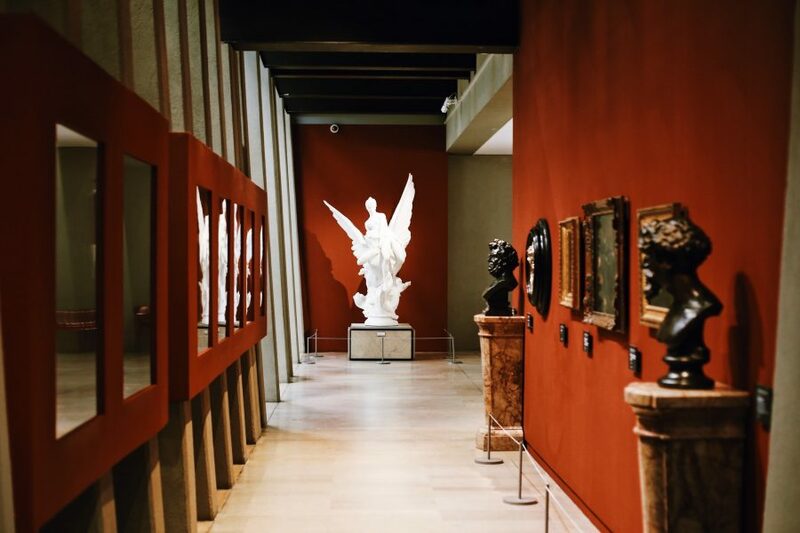 Not only will you get to skip the line (which is well worth the price of the tours alone), you will be taken around the museums by a highly qualified guide who is clearly passionate about what he does. 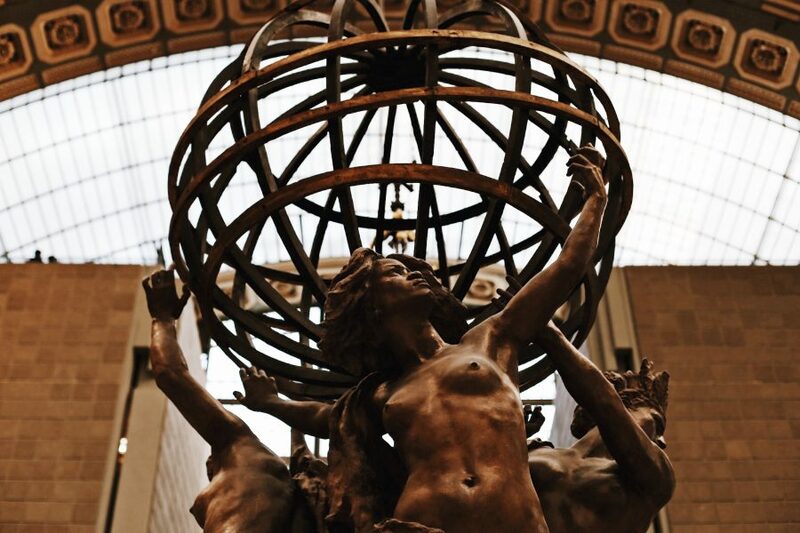 My husband and I will absolutely use Babylon Tours again the next time we are in Paris! 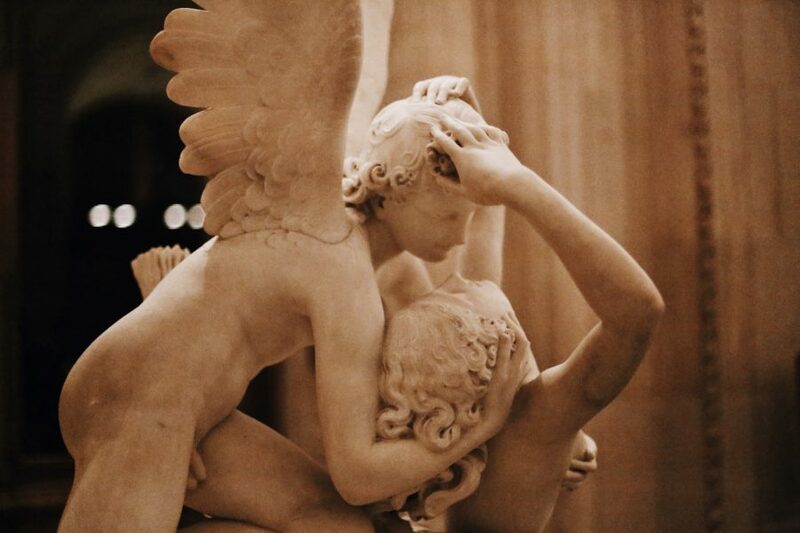 It was my husband's and mine first time in Paris, we had tours of both the Louvre and the D'Orsay with Arnaud. He was able to make the most of our time hitting the highlights of both musuems in the five hours we had with him. He was so knowledgeable about both musuems with facts both historical and anecdotal. It was a fabulous day and we would highly recommend Arnaud! When we return we will be looking to book a tour with him again. Arnaud was our guide and he did a great job is showing us the highlights of both museums. My daughter was sick one day and he was very flexible in allowing us to break up the tour into 2 days so she could join us the next day. Arnaud was thorough and showed us the museums in chronological order. He was very knowledgable. I recommend using Babylon Tours! Took the Louvre and the Musee D'Orsay tours with Dario from Babylon Tours. Both were great. Each tour was two hours which we found to be the right amount of time. He walked through everything in chronological order and kept things extremely interesting. We took about 10 walking / biking / segway tours throughout France during our vacation and the tours with Dario were our favorite. We thoroughly enjoyed the guided tours we with did with Arnaud of the Musee d'Orsay and the Louvre. Arnaud is a very knowledgable guide who has obviously thought about how to best make good use of the available two hours. He cleverly constructed tours which provided a chronological context and enabled us to gain a good understanding of what we were seeing. We felt that the tours were interesting and well worth while. Just back from Paris and spent time with Arnaud in the Louvre and the Musee D'Orsay. Here's the story. These tours are flat out TREMENDOUS and here's why. You see ALL the important exhibits in 2 hours with great commentary in a friendly, relaxed style. Maximum of four in each group which is also terrific! 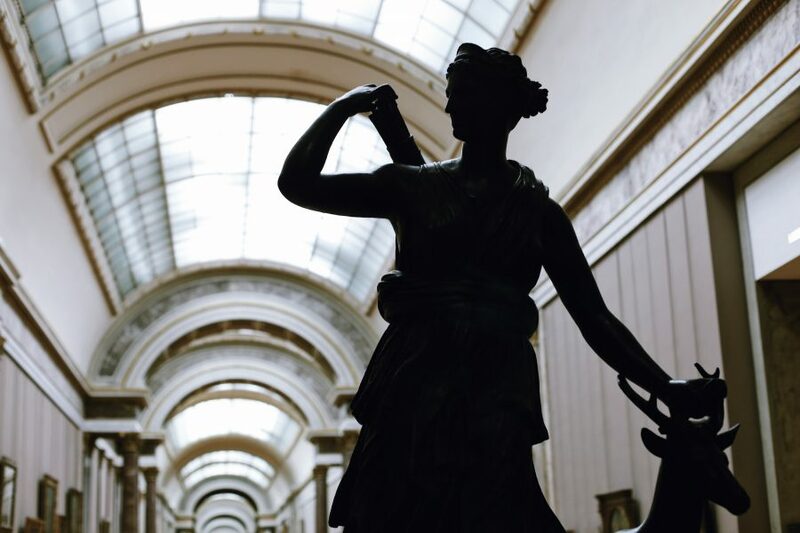 You will love seeing the museums with Babylon Tours. Arnaud gave us instructions on where to meet him. He was there right on time and communication via cellphone was great. What more can we say other than to stop looking at other tours. This is the one you want! And, if you feel you want to stay longer after the tour, you can do that as well. Forgot to mention that you also skip the line to get in and these lines can get really long! Have fun with Babylon Tours!!! The museum hop tour was perfect for us. It isn't easy to cover 2 musuems in one afternoon, but Arnaud managed to do it. 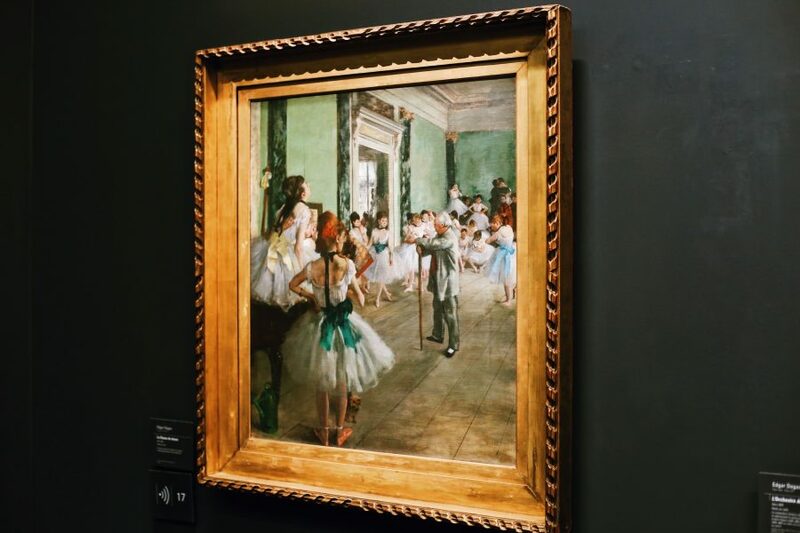 I really recommend this tour for quick trips to Paris - it is the fabulous cliff notes version of both museums and Arnaud does a great job of giving just enough detail for the non-art majors! If you have more time, I'm sure his tours of both museum alone are even better. One day in Paris, just passing by and of corse your plane got delayed at Charles de Gaulle. What are you going to do? Easy, call my friend Tom and book a visit to the main museums in the city!!! We visited the Louvre, Orsay, Napoleons tomb and the army museum and the centre Pompidou. It seems all too easy to visit with him, avoiding the crowded entrances, a very fun museum hop! Thanks a lot Tom, and hope to have more time next time I visit. We had a great time - the other couple didn't show so we ended up on a private tour. We booked through Viator and they contracted with Babylon. Our tour guide Dario, was excellent. He was on time (early actually) and gave my boyfriend and me great tours. Dario not only showed us all the great art, but also gave us a lot of the back-stories on the museums and many of the pieces. 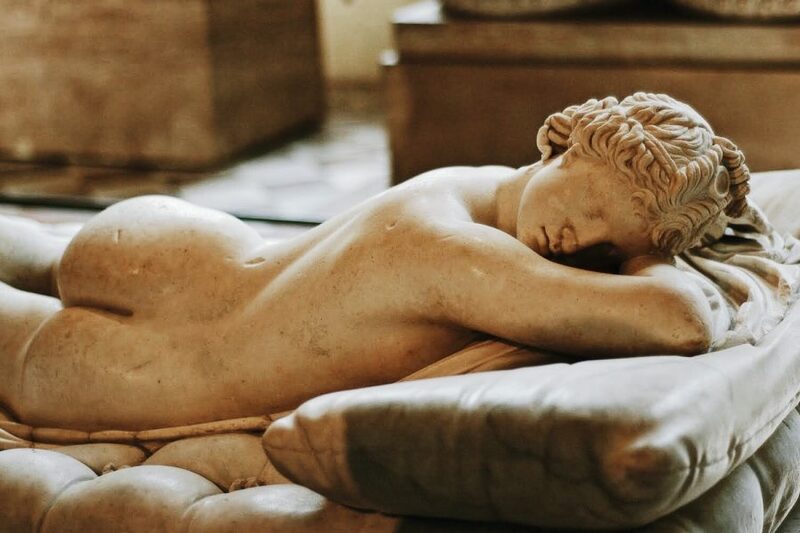 This is far and away the best way to see these museums, especially if you're like me and wanted to see as much of Paris as possible in one trip. Because Dario knew the museums and people that work there so well, we were able to avoid most of the crowds. 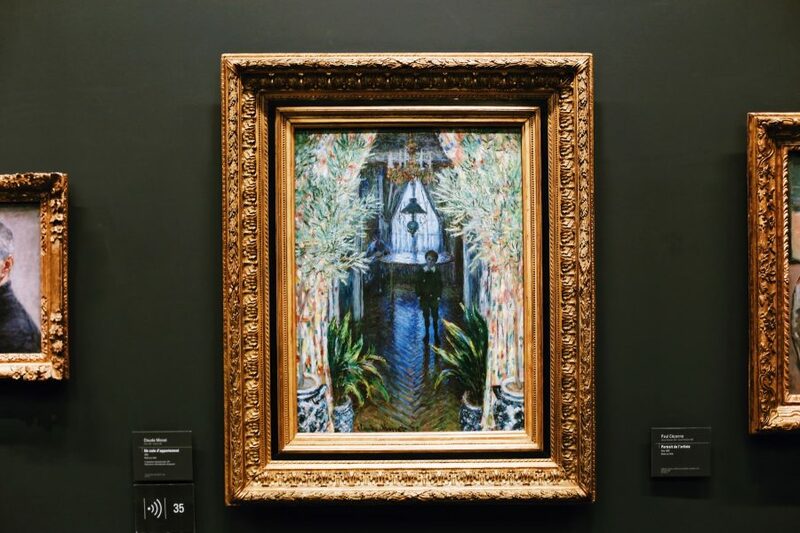 Further, Dario made a recommendation that we see the l'Orangerie after our tour, which we did. I would have never seen this otherwise. It was icing on the cake of a really great day. I highly recommend that you book direct with Babylon and save a few bucks. 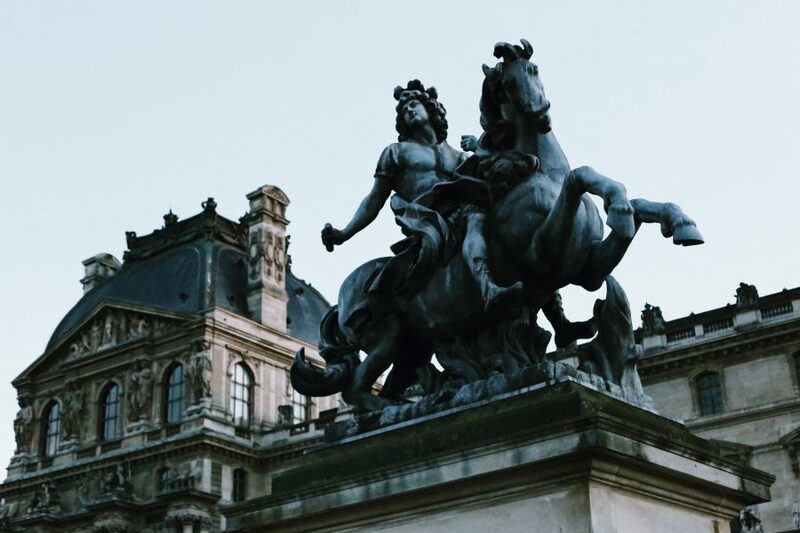 With limited time in Paris, I signed up for the HOP tour with Babylon so we could see both the Louvre and the Orsay museum the same day. There is a maximum of 5 on this tour, but with 4 in our family group, we were the only ones on the tour. We met Alex at the Louvre, skipped the line and saw the highlights at the Louvre including the Mona Lisa, Venus de Milo and Winged Victory. Our guide spoke excellent English and was very knowledgeable. The Louvre was also not as crowded and chaotic as I expected. 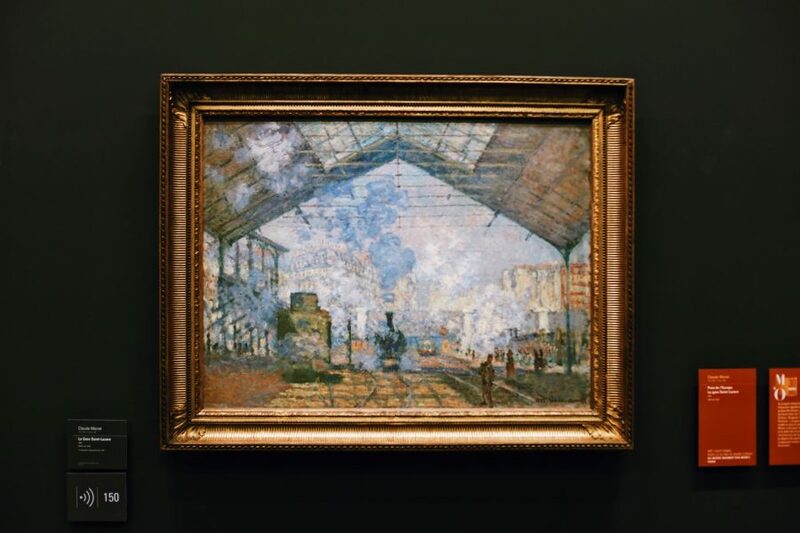 We ate lunch at a nearby cafe and then it was on to the Orsay museum in an old train station which was more interesting and enjoyable to us as it had paintings and artists that we are more familiar with including Van Gogh, Monet, Manet and Renoir. It is a bit strenuous to do both but the 2 of us over 65 did fine and felt we had a great tour of both museums. We took this combination tour with Arnold of Babylon tours. We were a group of 6....myself...the grandmother... my son ,daugher-in-law and 3 children, ages 17, 13 and 9. Arnold was waiting for us and guided us into the Louvre without a wait. We saw the most important exhibits and he knew just which would have the most interest for our teenagers. 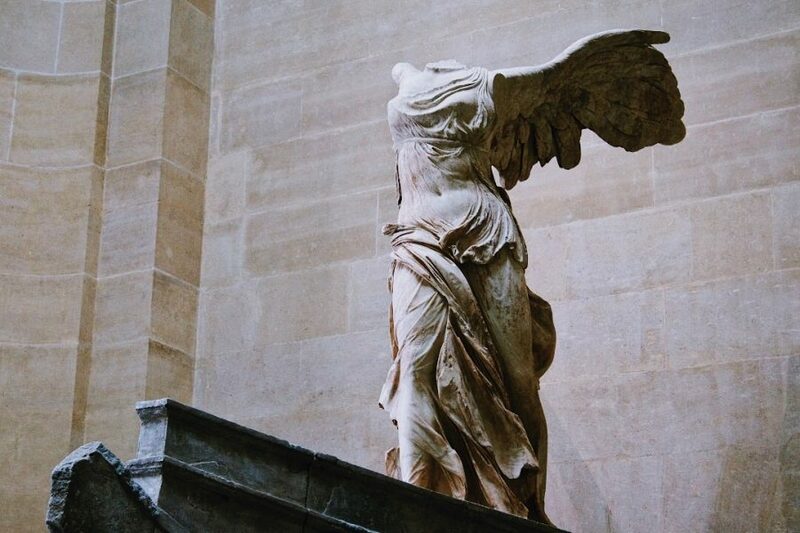 They loved Winged Victory because they learned that Nike used it for their logo!!! He knew the history but we were not overwhelmed. Afterwards, We had lunch at a crepe restaurant, our choice, and enjoyed both the food and the conversation with Arnold. 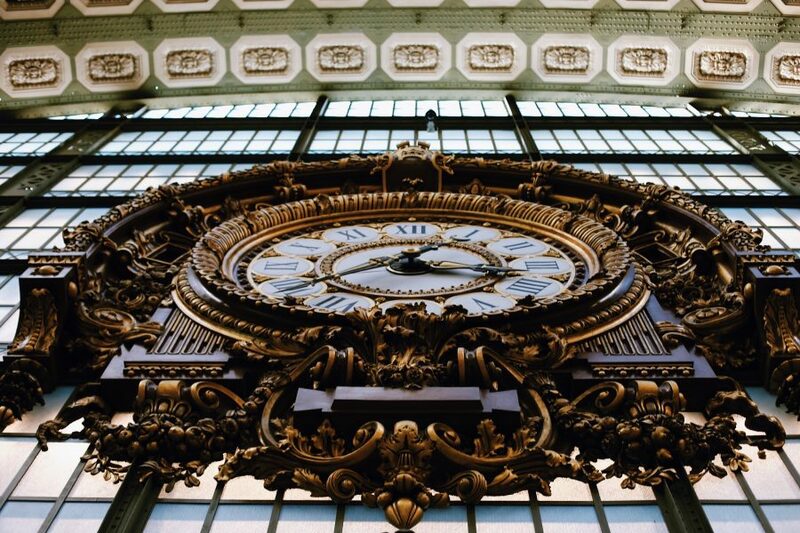 And later we toured the Museum D'Orsay which was also spectacular. I can't say enough good things about Babylon Tours or Arnold. 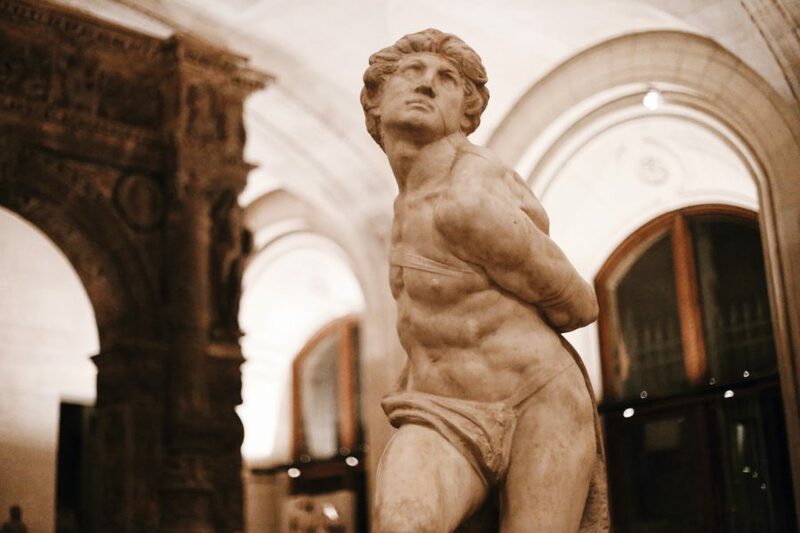 Filipa took an eight year old sports-loving boy to the Louvre and the Orsay and he is still talking about it! My husband and I had a similar tour with Babylon tour several years ago and when we decided to bring our son to Paris, I knew they were the people to call. Filipa and Jacob took us through both museums on two different evenings and managed to keep everyone interested and wanting to learn more. 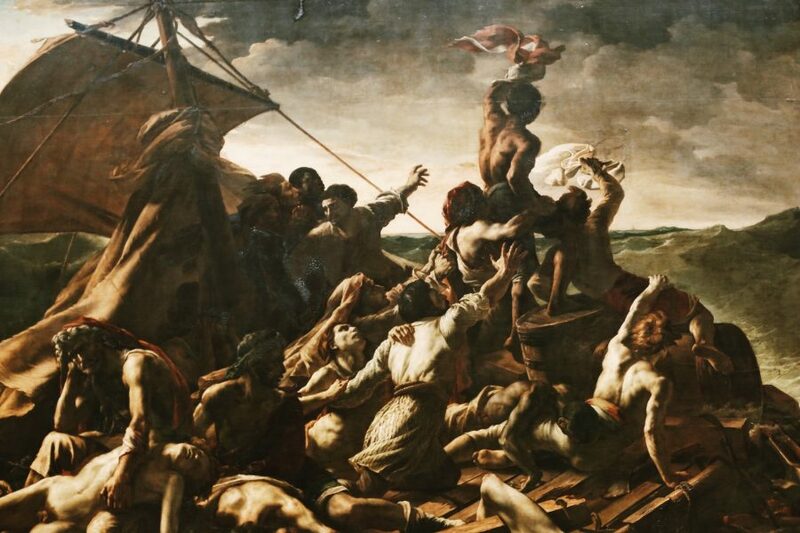 Filipa was able to tie the art together from both museums at a perfect level for him. They were great when we went with just adults and just as wonderful with kids! I appreciate the thought that went into tailoring the tours for a child and I highly recommend them for any group. My friend, Ray, and I were on the same tour that was reviewed by another traveler (Roshan). There were only the 3 of us on the tour guided by Dario of Babylon Tours. Dario was not only knowledgeable and charming but he made the entire experience an extremely pleasant one. He guided us through two very busy museums - choosing a delightful cafe for us to have a lunch in between. Dario's familiarity with the artwork and his experience with the flow of the crowd enhanced our ability to navigate successfully and view each piece up close. 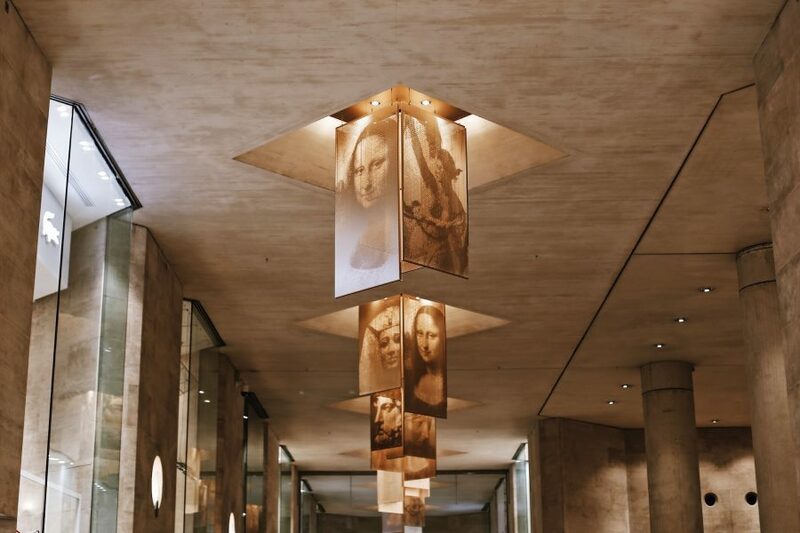 With Dario's knowledgeable guidance, we were able to gain a new, deeper appreciation of these magnificent museums and the treasures they contain. I would recommend both Babylon Tours - and Dario specifically. You will not be disappointed. Without a doubt.... the Best of the Best. 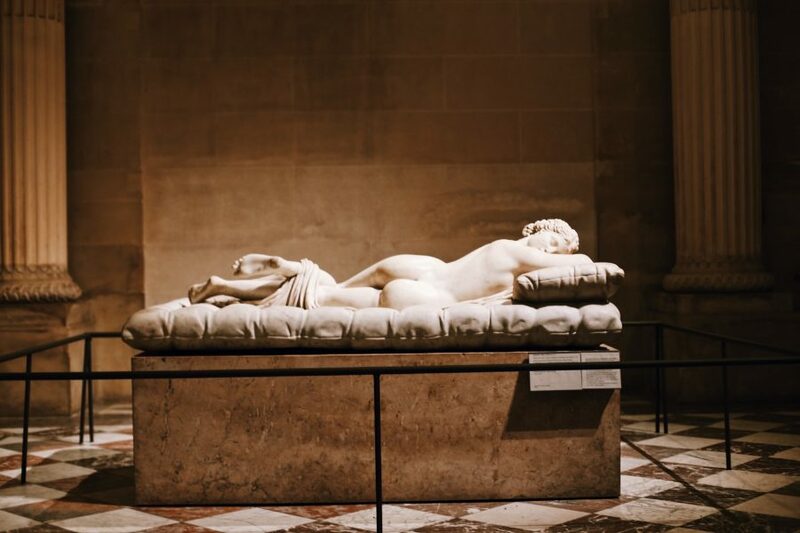 I took a private tour with Daro of the Louvre and Orsay museum. Daro was a wonderful guide, very knowledgeable and had very well thought out tour that included both history on the museums, architecture as well as detailed background on the most important pieces in both museums. 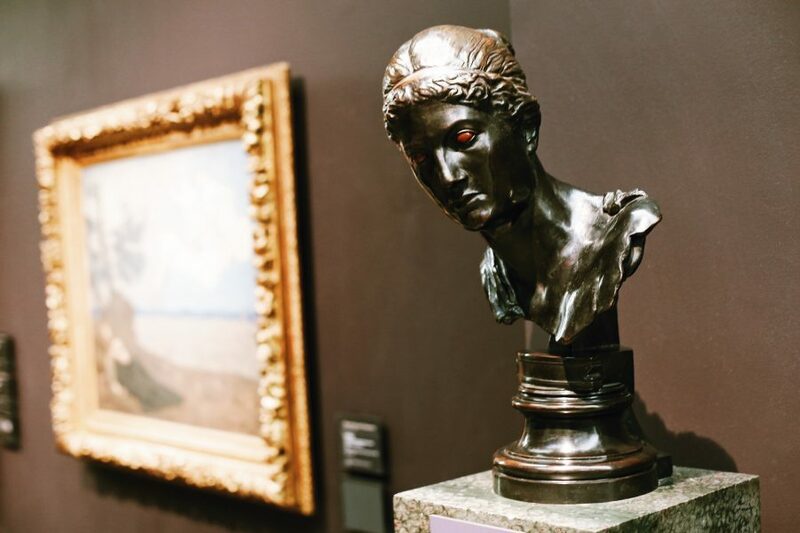 This tour allowed me to see the most important pieces in the museums and make perfect use of the limited time that I had. I highly recommend a tour with Babylon tours, thanks!! 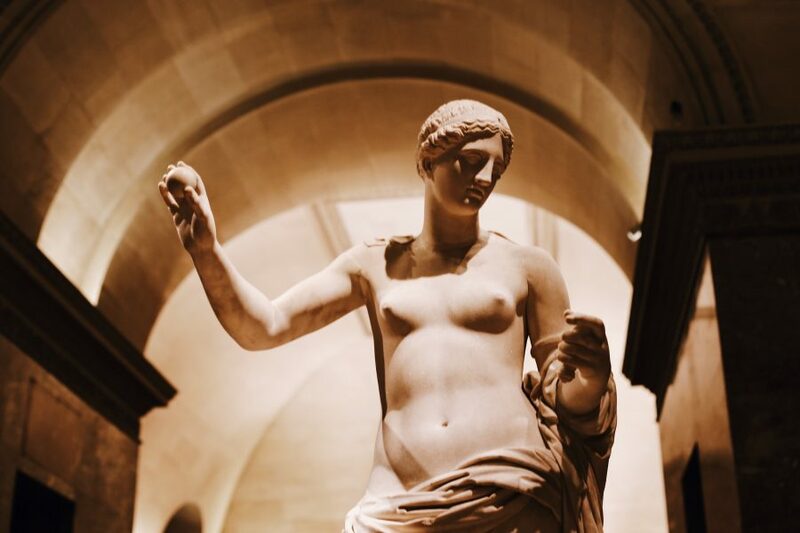 We knew we needed a guide to even have an idea where to begin at the Louvre. 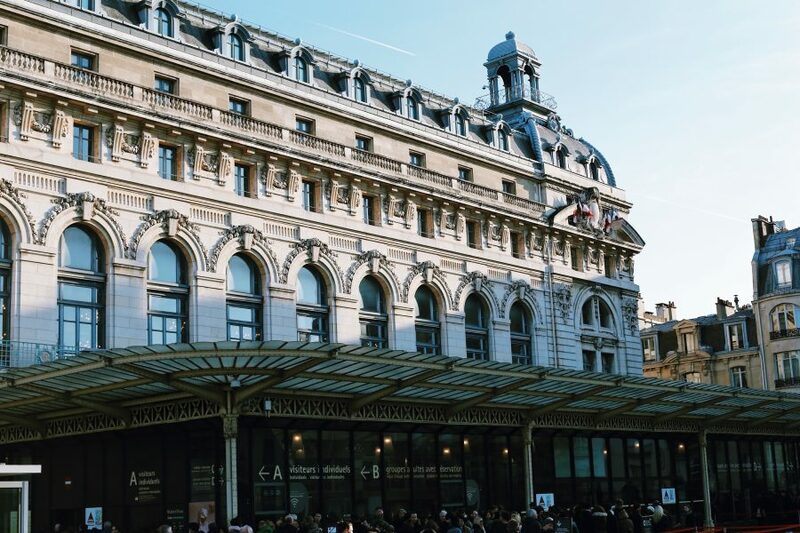 With our limited time in Paris we decided to choose the private combined Louvre and D'Orsay tour for the best chance at getting the most out of the 'highlights' of each. We really were fortunate to have Lilia as our guide. This Florida transplant is is energetic, very knowledgeable and passionate about art! Lilia had a plan and knew how to execute it, even routing us to avoid most of the Christmas week crowds in the museums. Lilia discussed history, the artists and artistic aspects of the pieces we saw, and pointed out details we never would have seen without her. She kept us on schedule for our five hour day, but we never felt rushed. We felt as if we had learned a lot about art from a good friend at the end of our day with Lilia! We had an excellent guide and she took us to the highlights and provided so much information, we could not have possibly covered what she covered on our own in a week. The lines were endless and we were SO thankful that we did not have to wait in any of them! She was extremely passionate, knowledgeable and made the hours go by in a fun way for both my 15 and 12 year old. 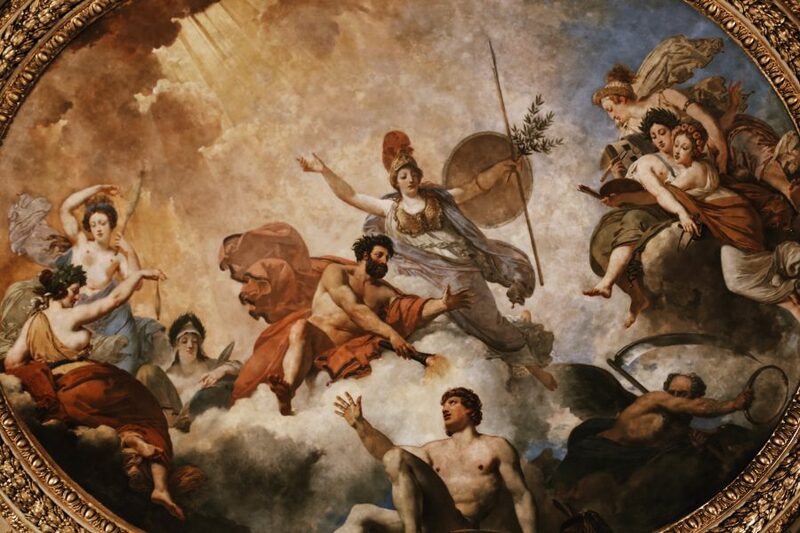 Even if you are an accomplished art historian, you will benefit from a guide that knows where everything is located. Do not waste any time in lines or getting lost. If this is your first time, do not hesitate, you will regret trying this on your own! This tour was simply fabulous! The first benefit was to skip the long lines! Next, our very well informed guide took us through history via some of the world's best art. He tailored the tour to our interests and made learning fun and memorable. Best way to see these amazing sites! I think I have already reviewed this tour but just in case I didn't, I am doing it a second time only because I want to praise our wonderful tour guide Bellan. I forgot I had signed up for a private tour but we were so glad we did. Our tour guide, Bellan, was extremely knowledgeable and had a great personality. I can't say enough about here - she was exceptional!!! She made this a spectacular tour. I highly y recommend a private tour - it is definitely worth it! Ask for Bellan - she's the best!!! We enjoyed the tour very much. Belen was very enthusiastic and shared lot of finer details about the various exhibits. Balen was our tour guide. She was FABULOUS. She took the time to explain the details of each painting/sculpture. She went into the history and background of the paintings/sculptures. It was one of the best tours that I have been on. Would request her each time.